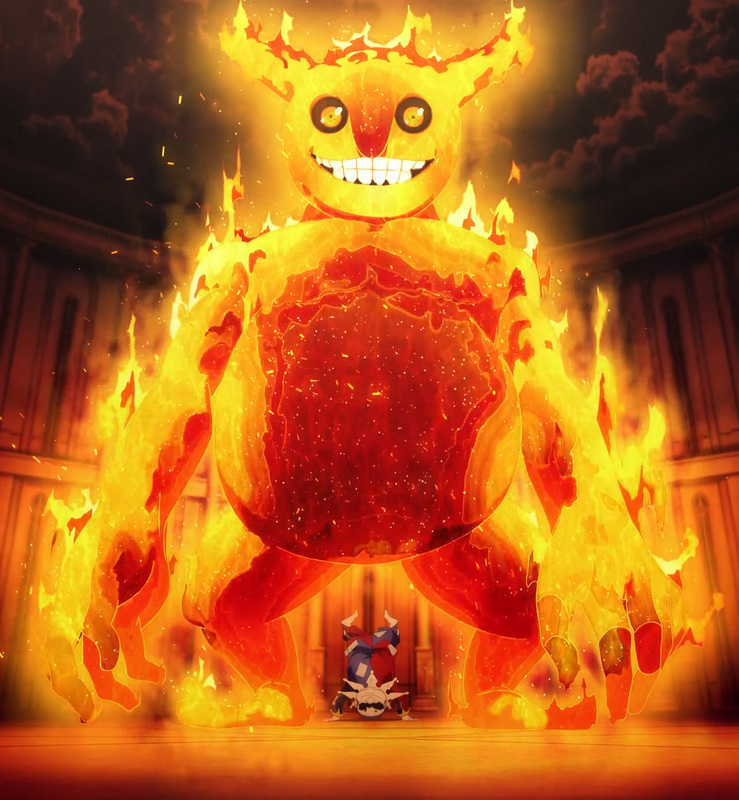 Chudelkin’s blazing spirit won’t last long against our trio. 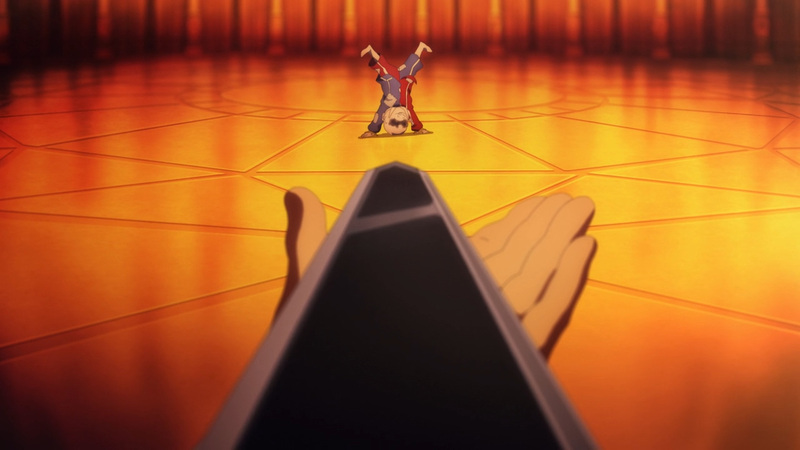 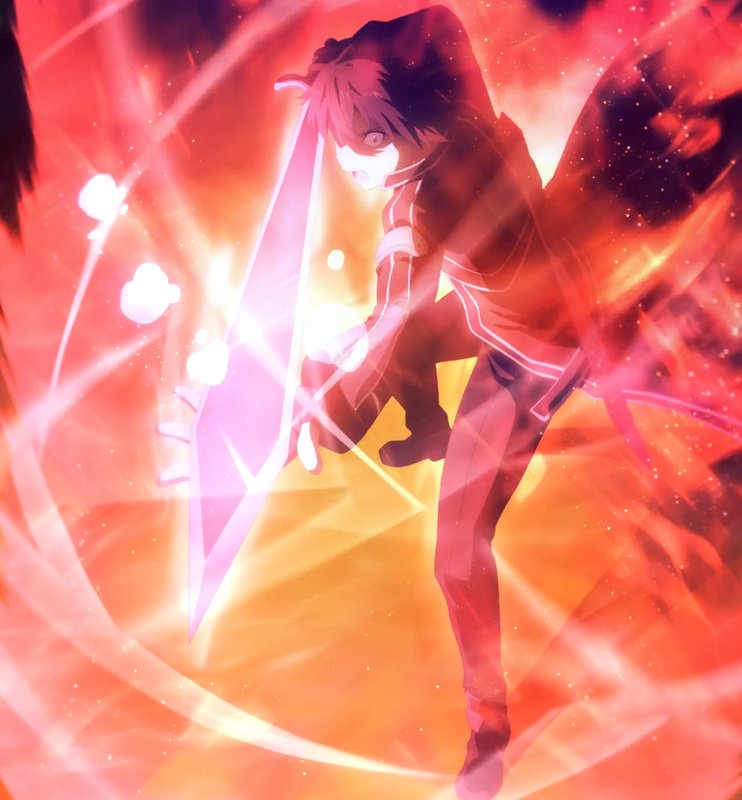 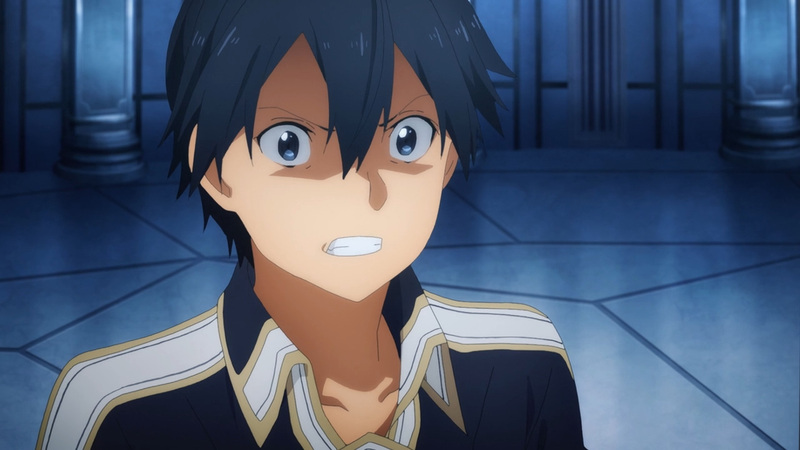 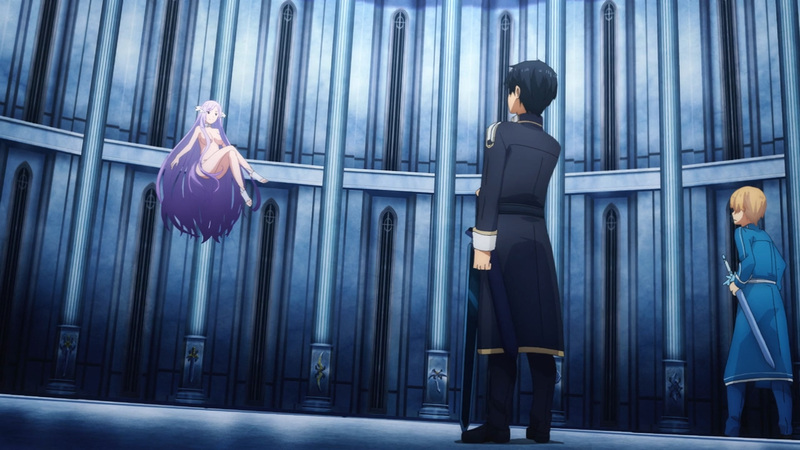 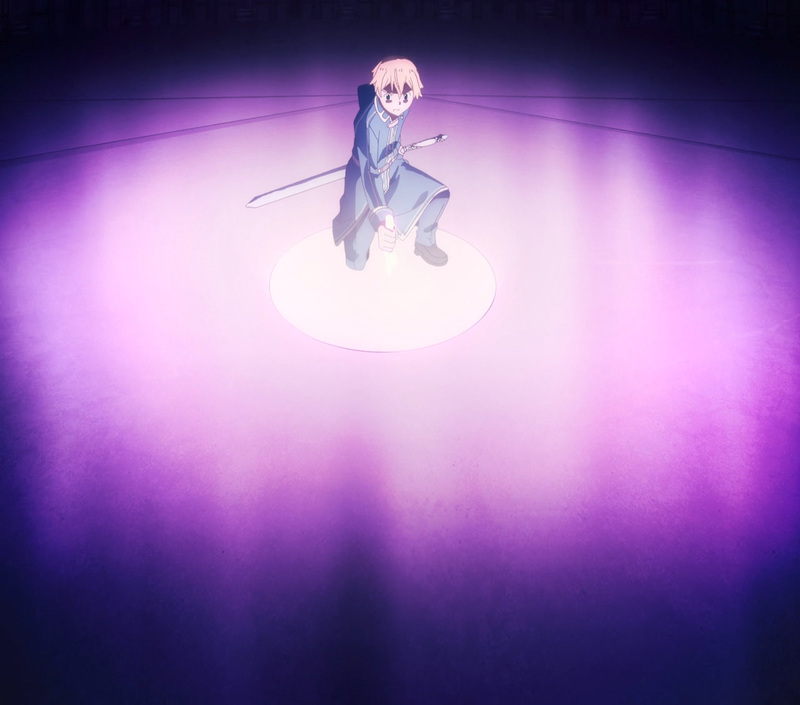 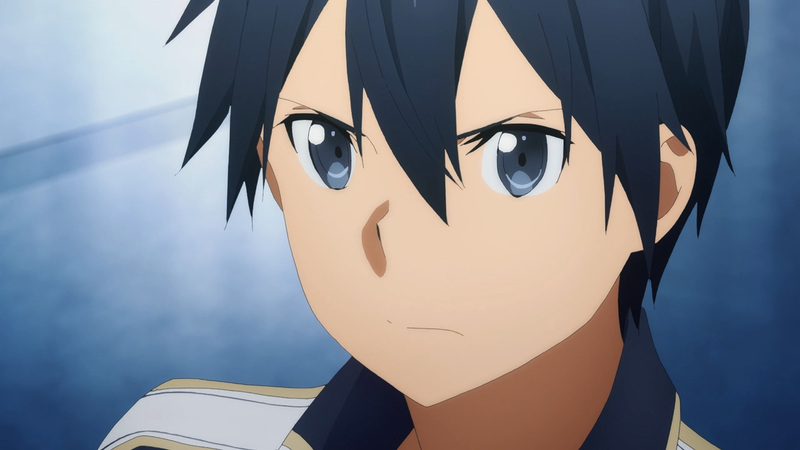 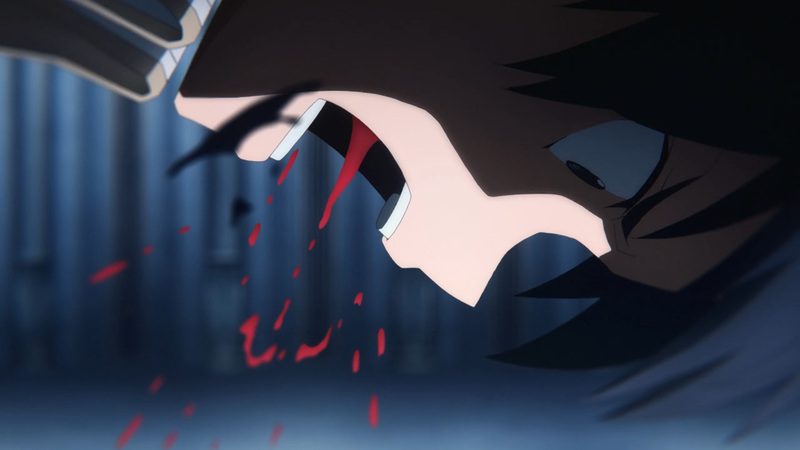 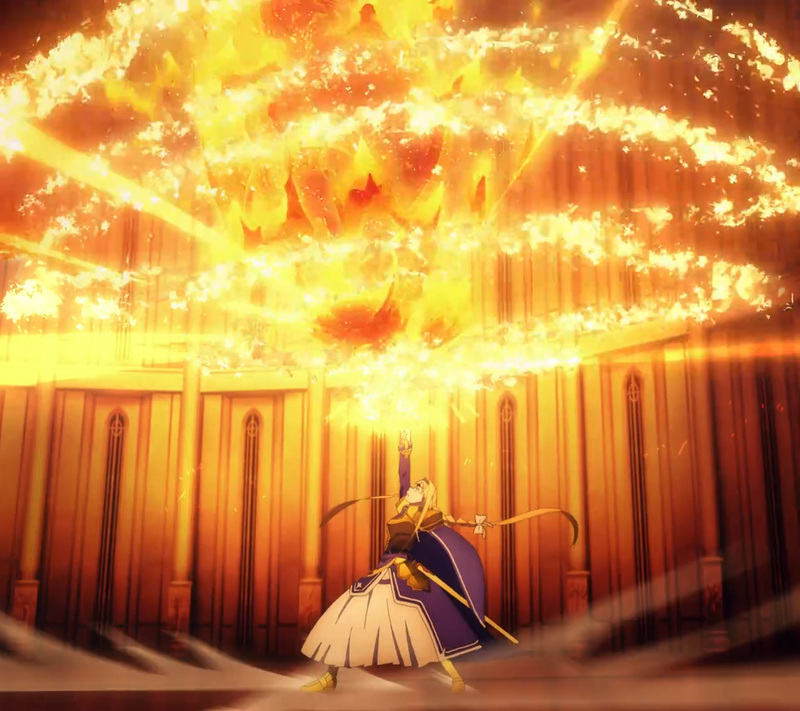 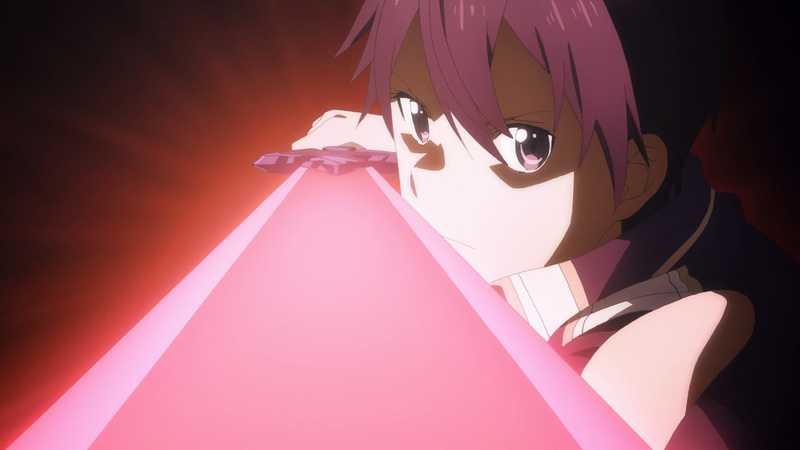 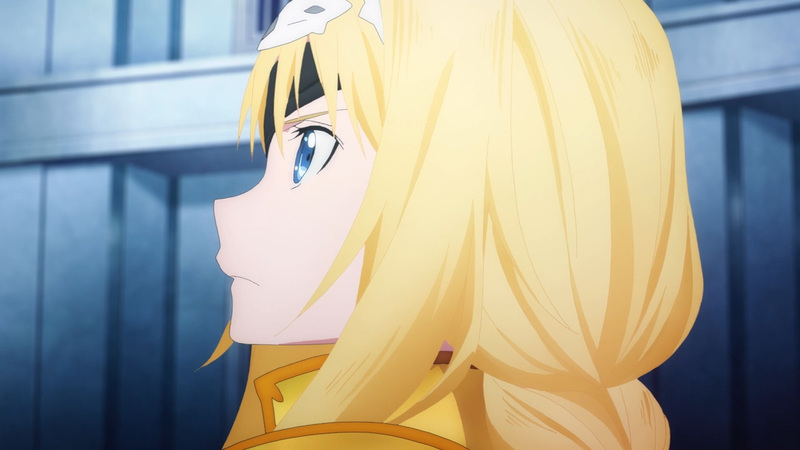 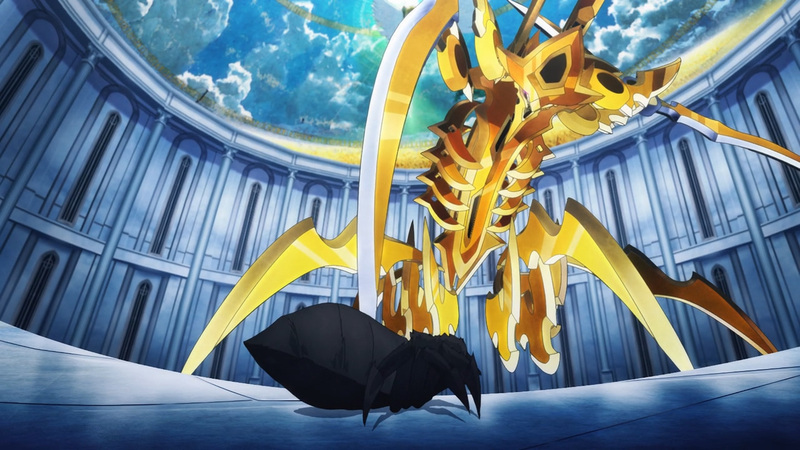 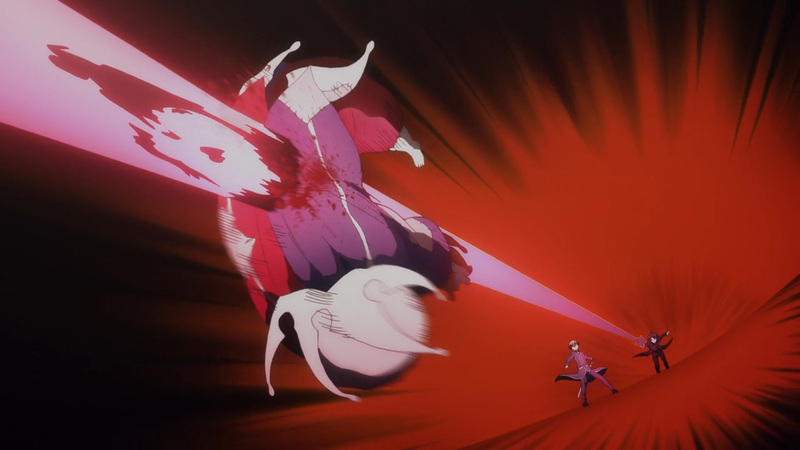 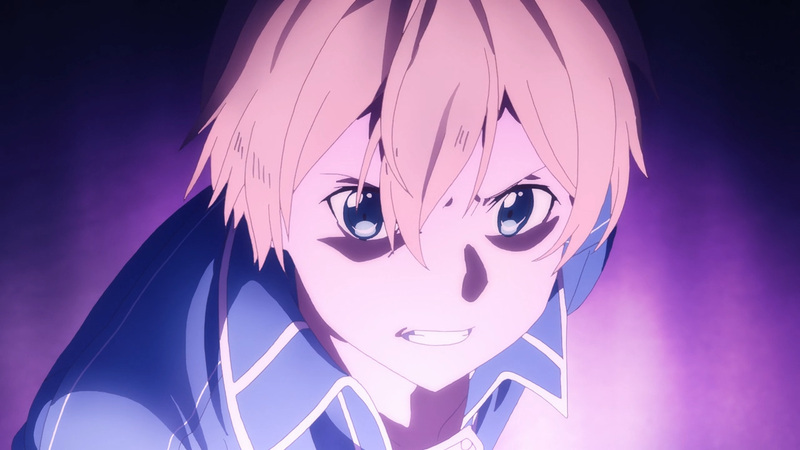 While Alice holds down the monstrosity, Kirito will be unleashing an old move of his. 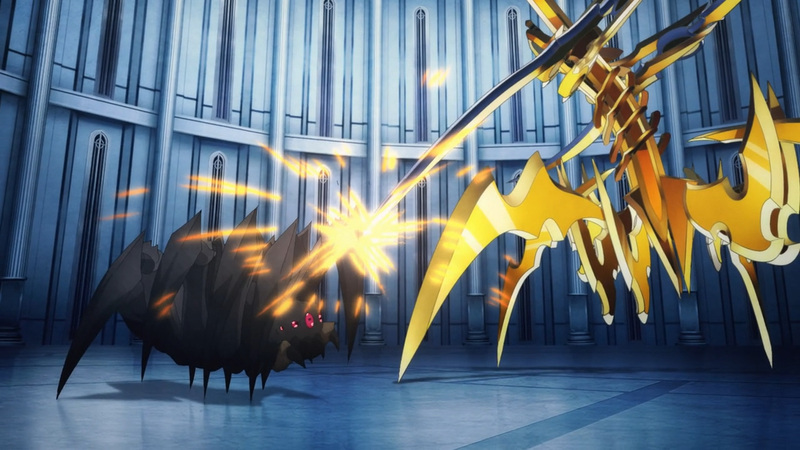 One strike was all that was needed to permanently put down Chudelkin. 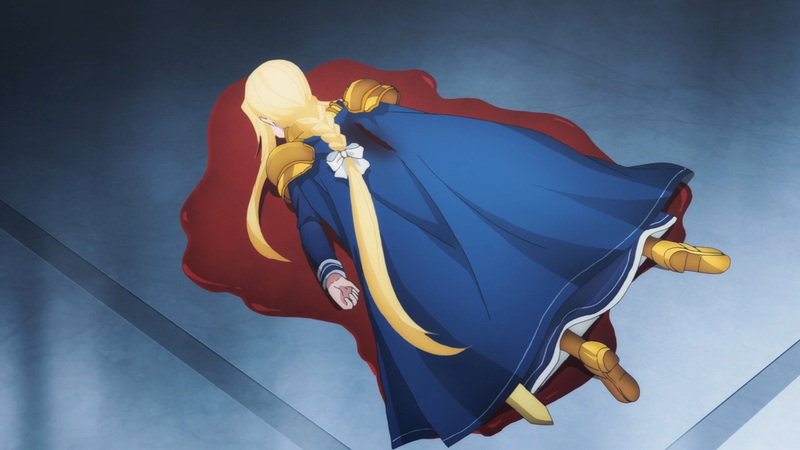 Now, such results were to be expected. 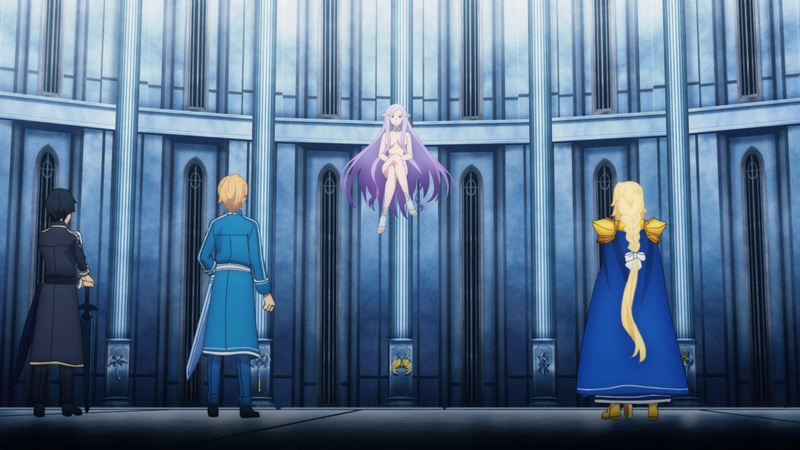 Quinella has long known that her subjects were all worthless. 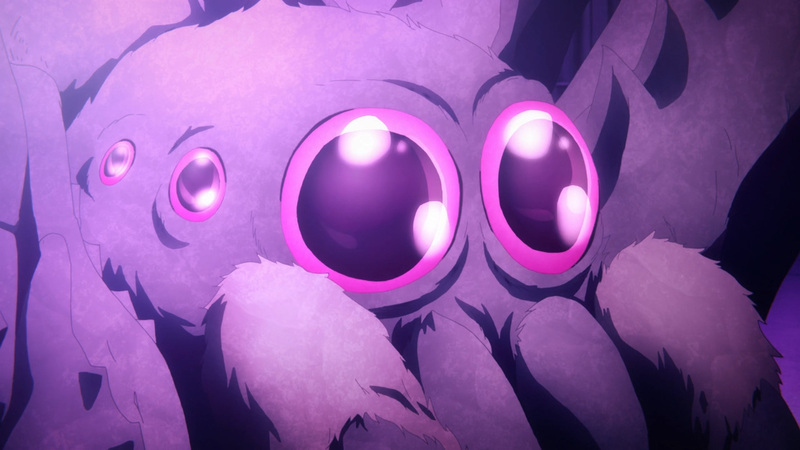 Keeping them around was only a temporary measure to tide the forces from the Dark Territory. 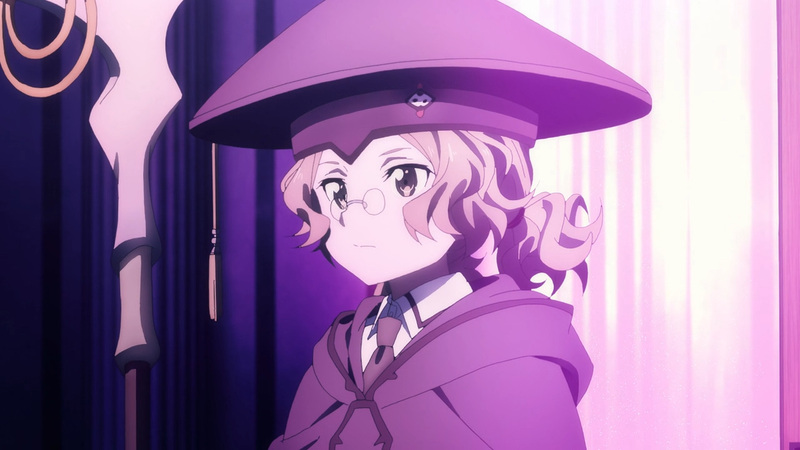 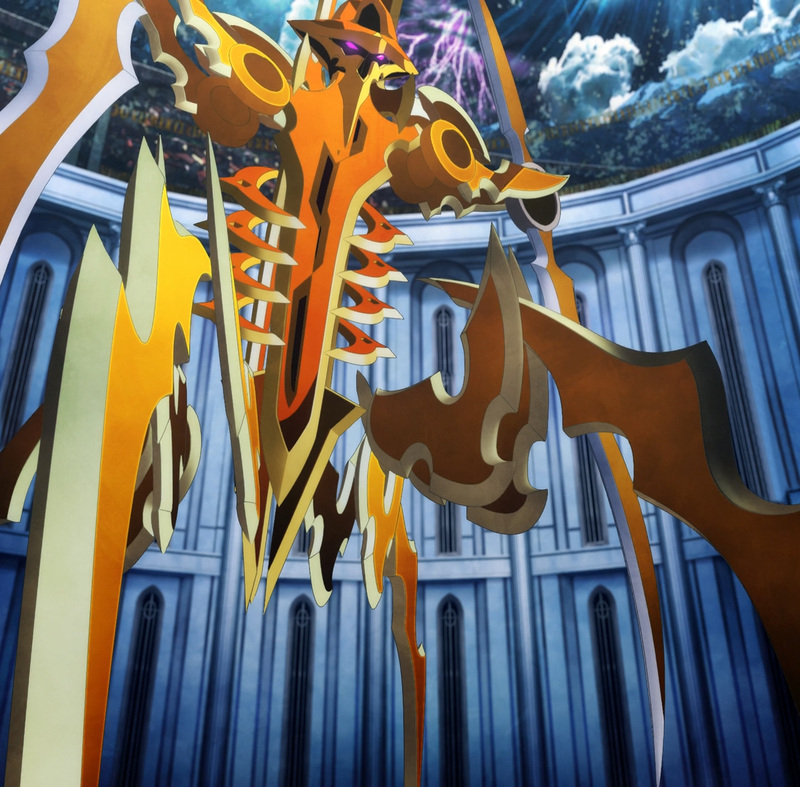 Her ultimate card to stop the invasion, and those that would threaten her rule is much more sinister. 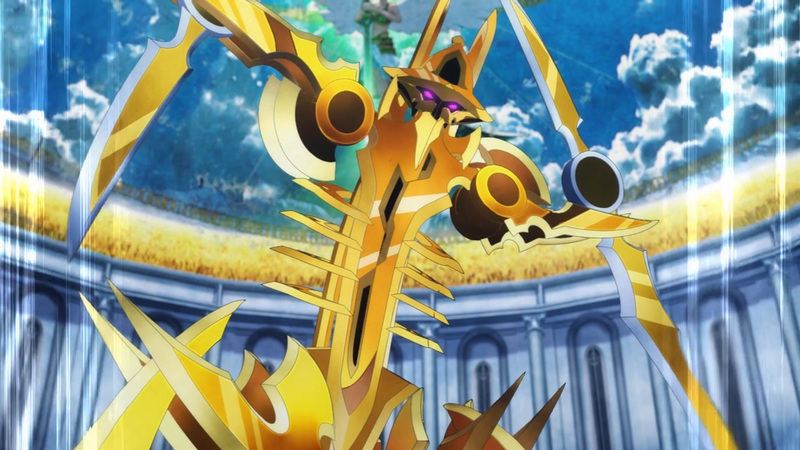 Thirty “swords” classified as Divine Objects have been fused into one. 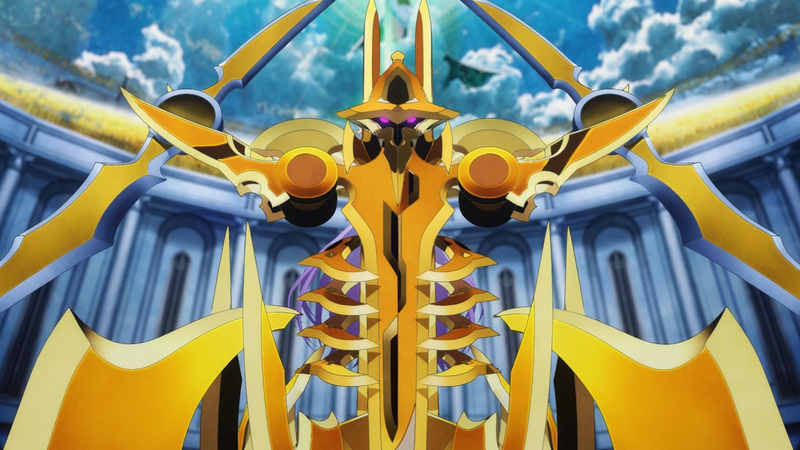 Sword Golem will have no problems dicing anyone that stands in its way. 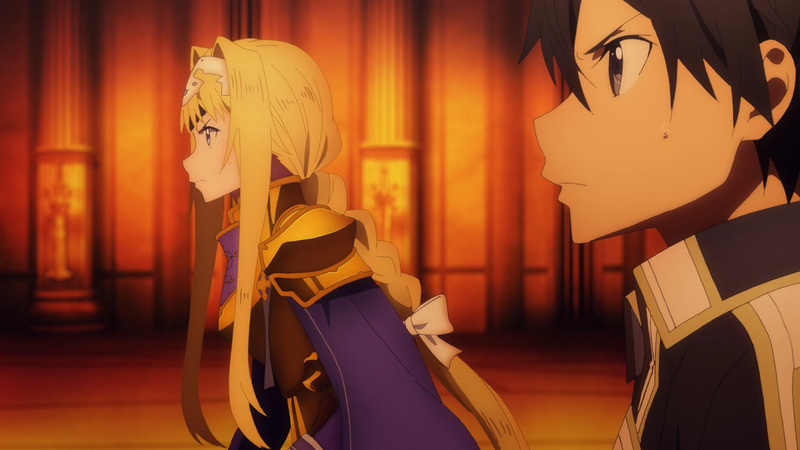 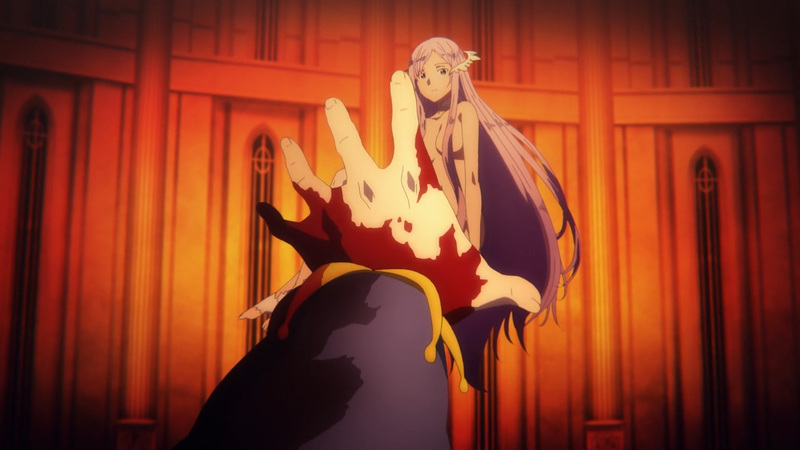 A simple command given by Quinella had Alice and Kirito clinging onto life. 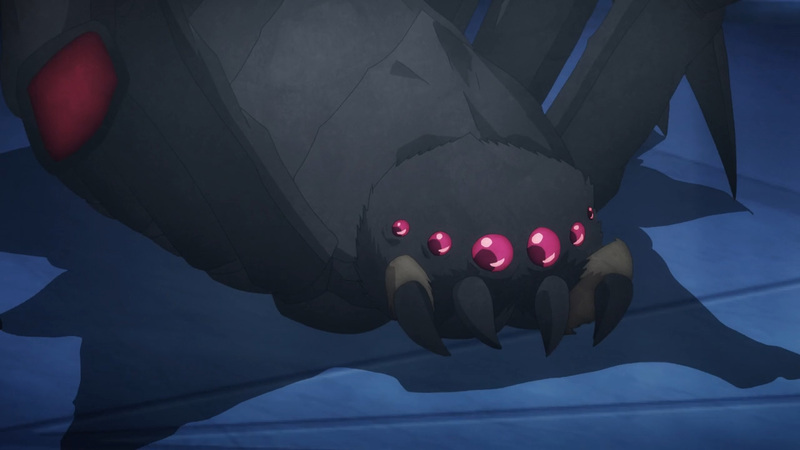 Fortunately, a surprise ally was always close by. 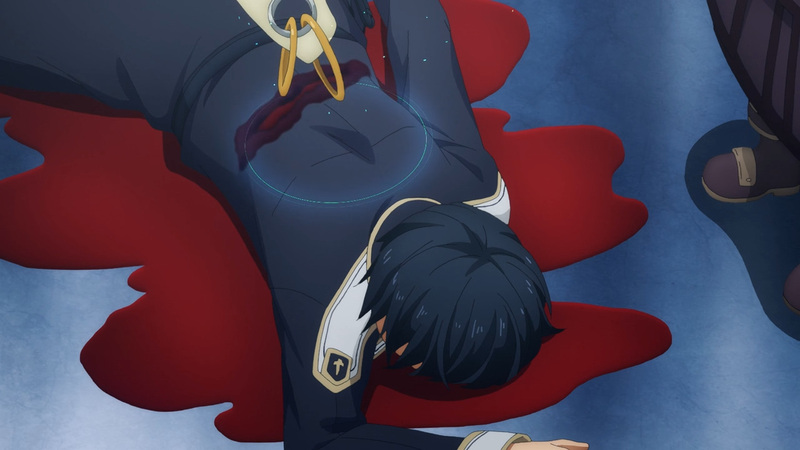 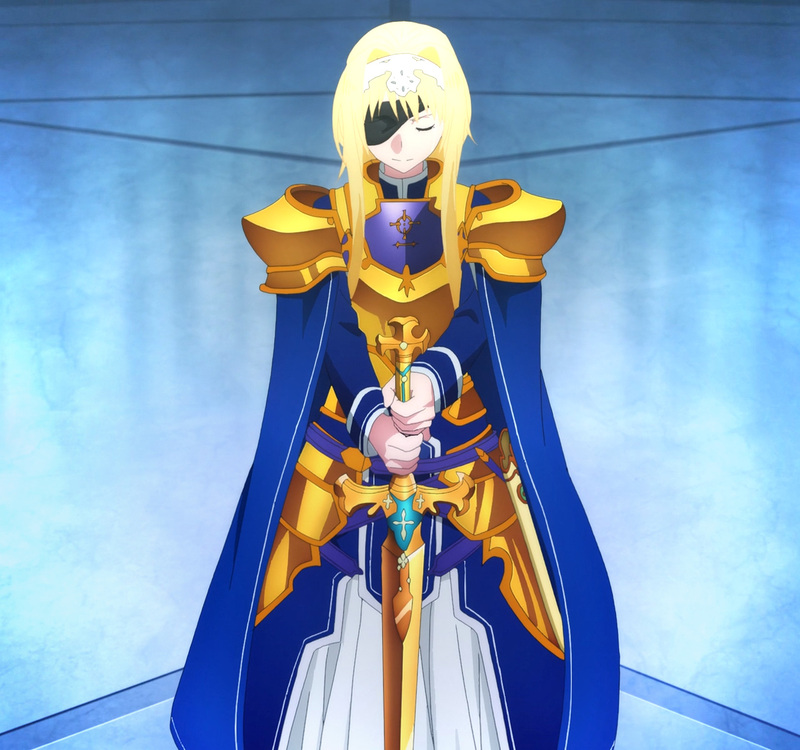 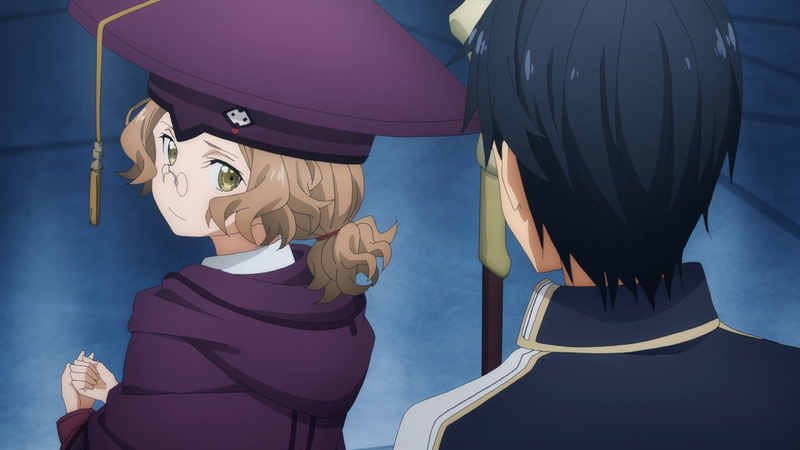 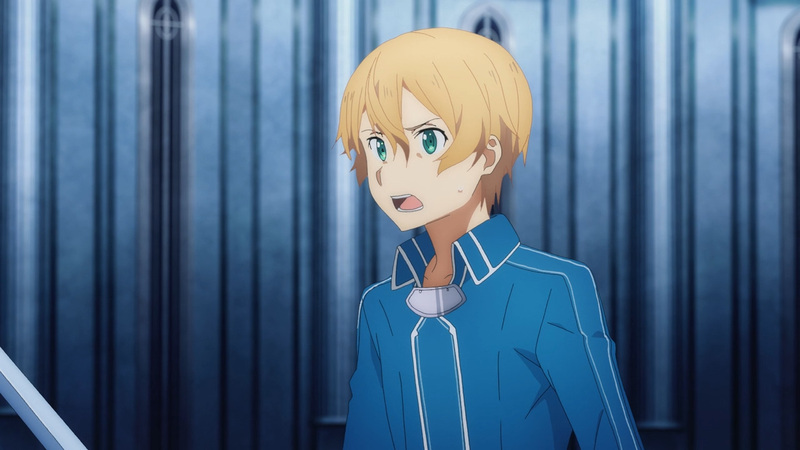 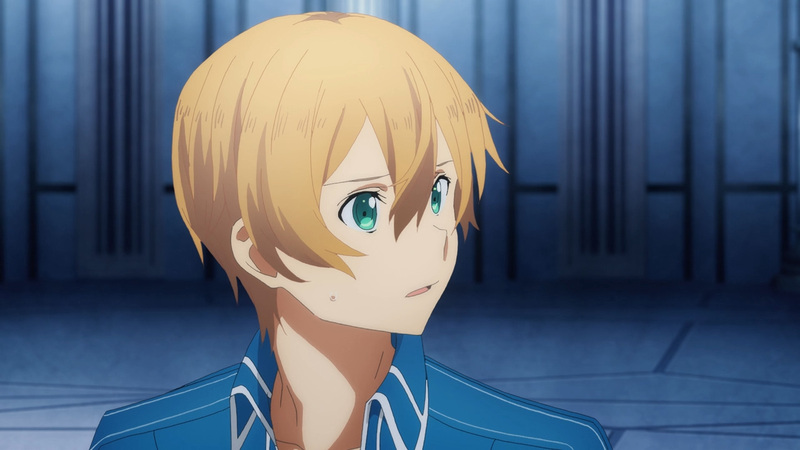 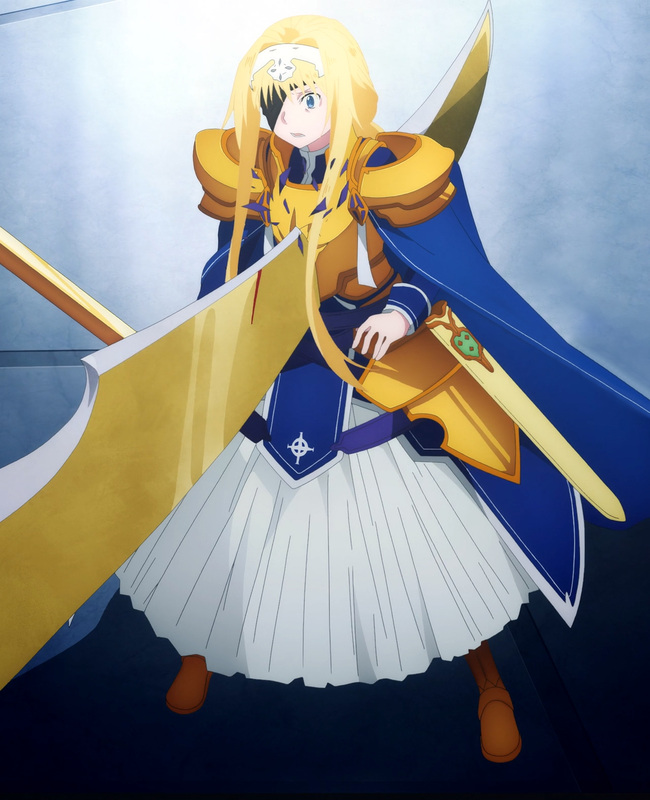 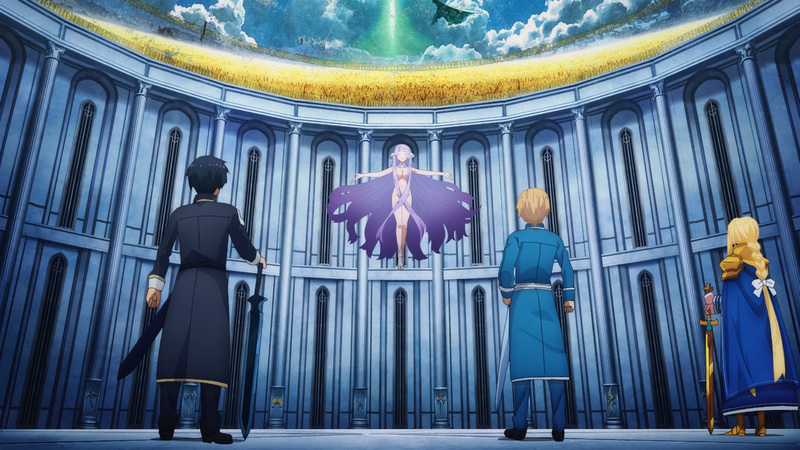 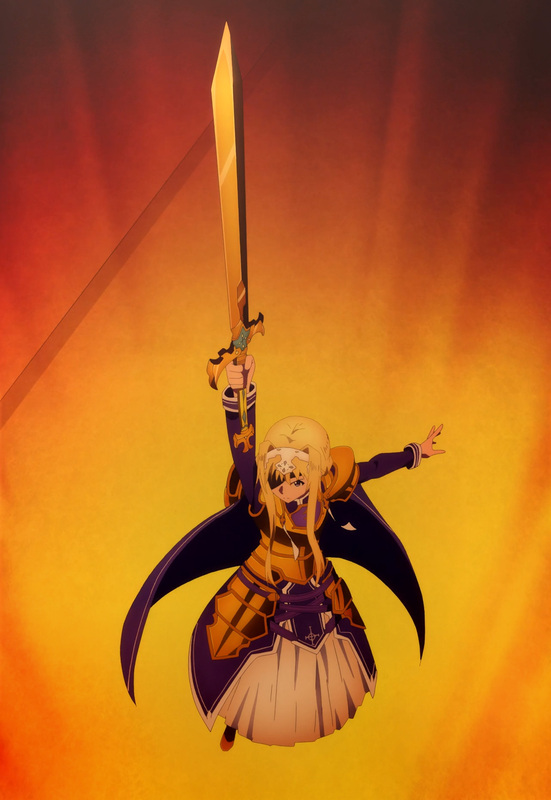 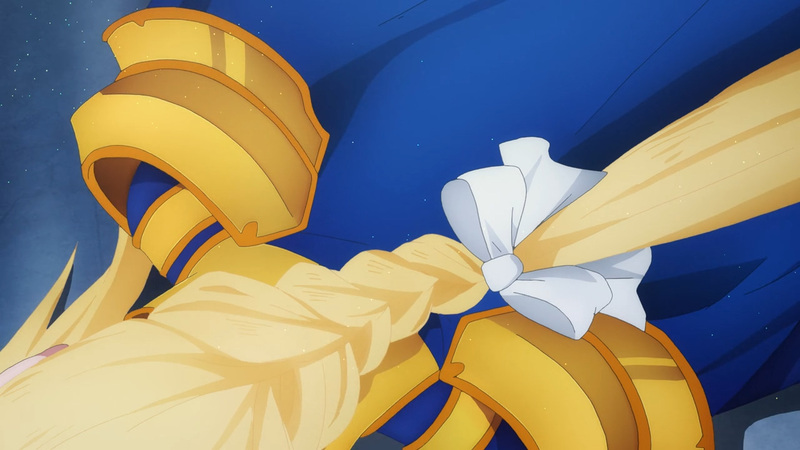 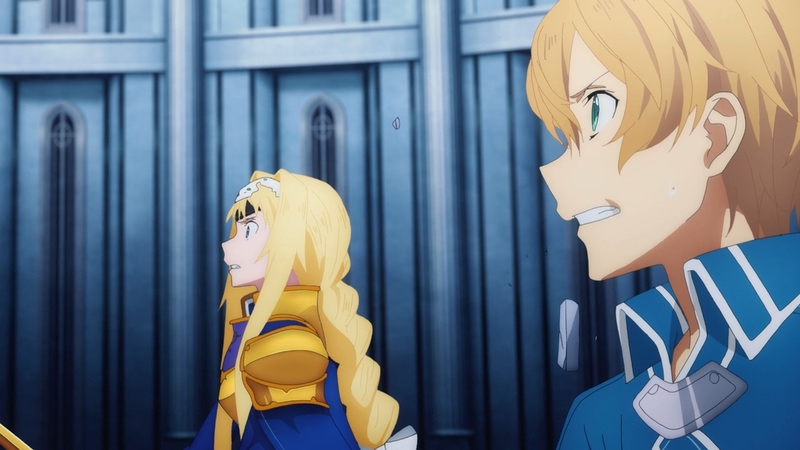 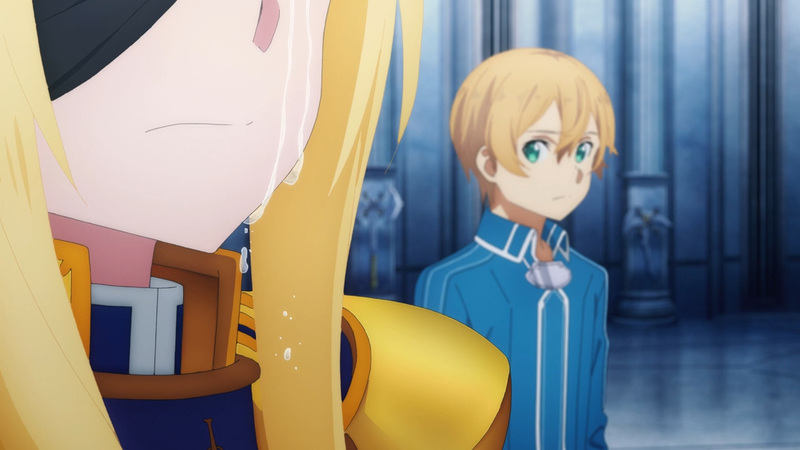 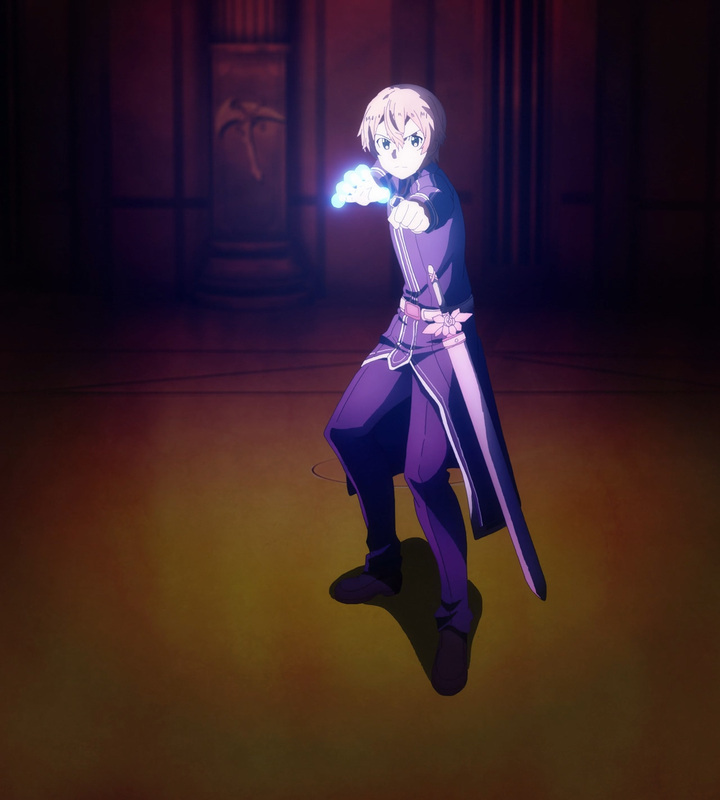 Charlotte will sacrifice her life in order to buy time for Eugeo. 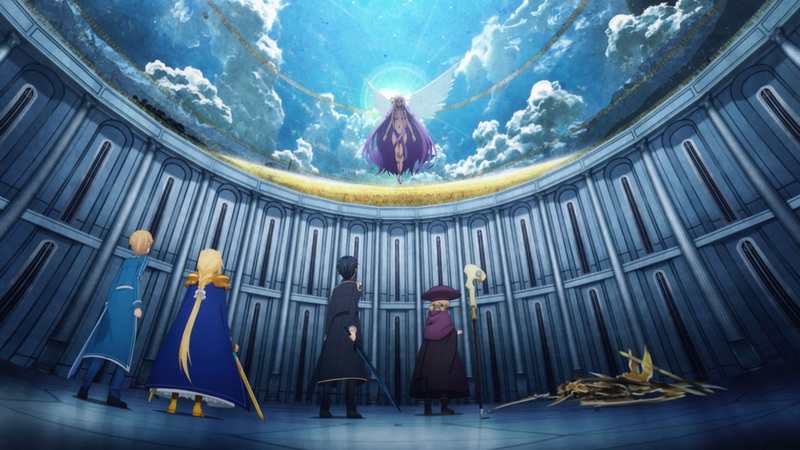 Summoning Cardinal is their only hope of evening the odds of this battle. 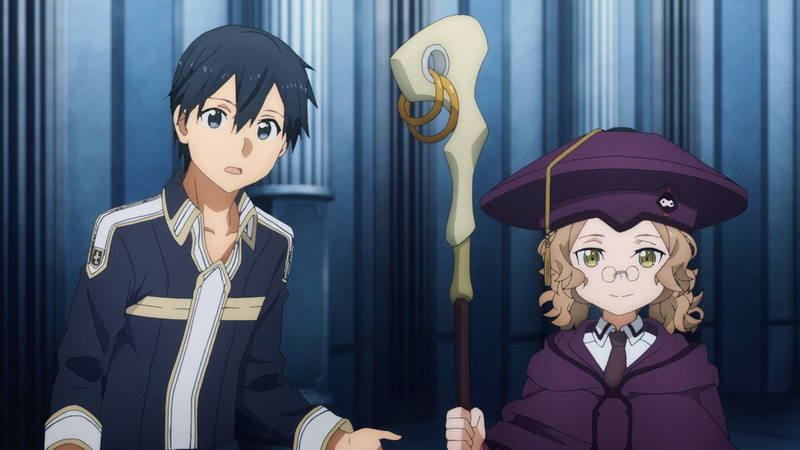 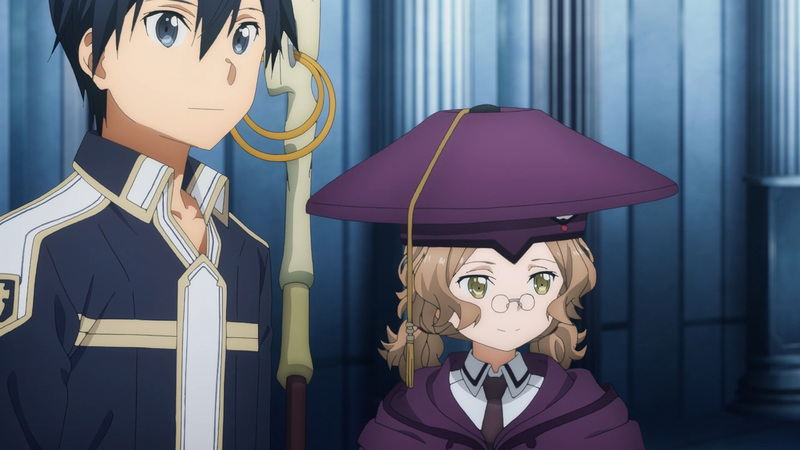 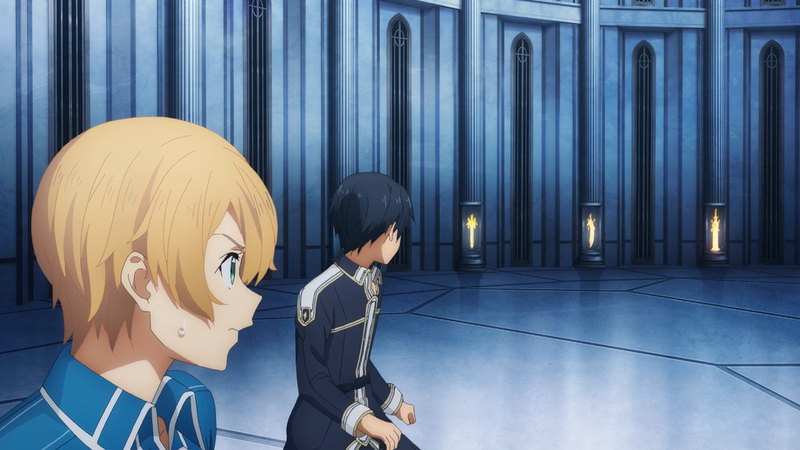 With Cardinal by their side, Alice and Kirito have been restored. 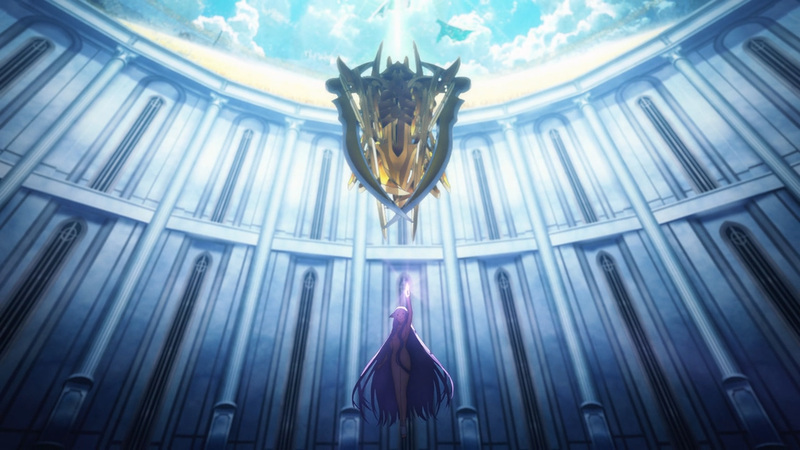 Regardless, this battle has only just begun. 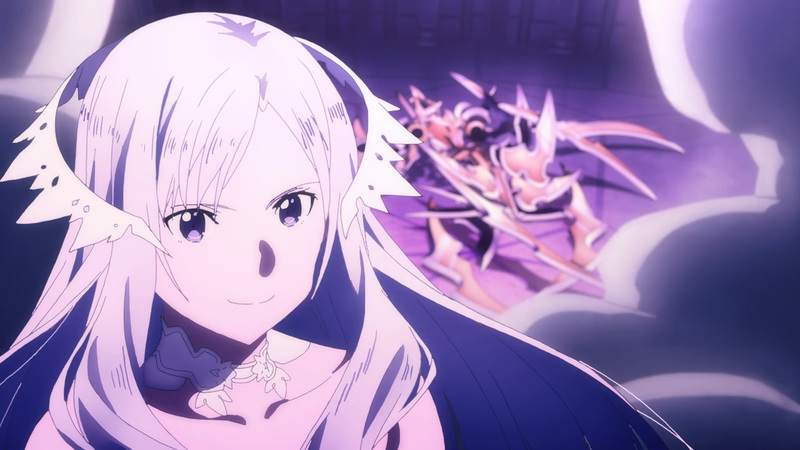 Quinella still remains untouched. 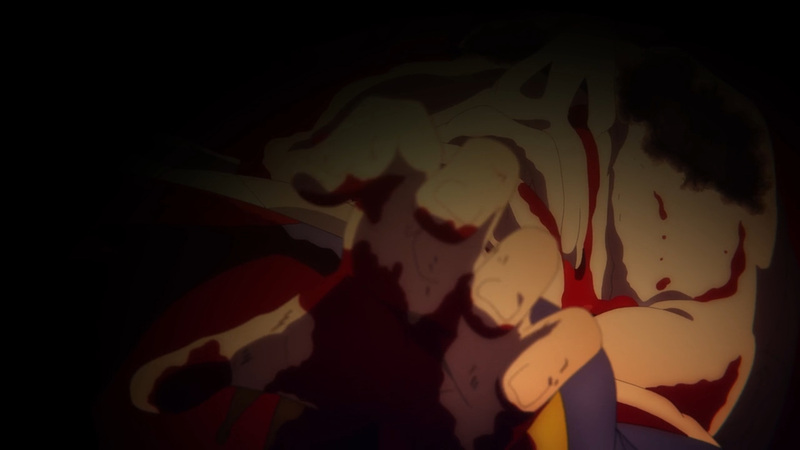 Quite a lot blood in this one. 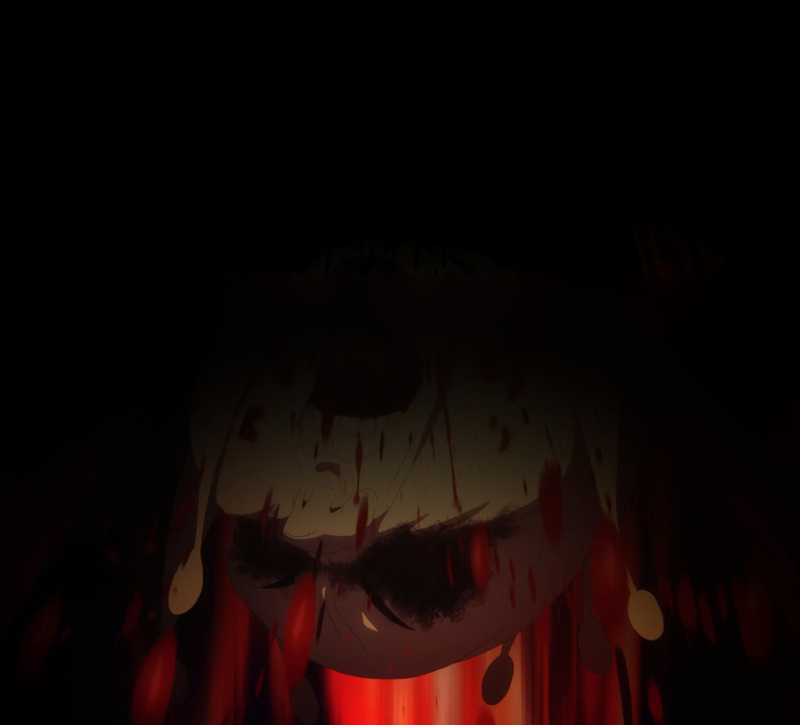 In fact, one could say Chudelkin spilled maybe just a bit too much. 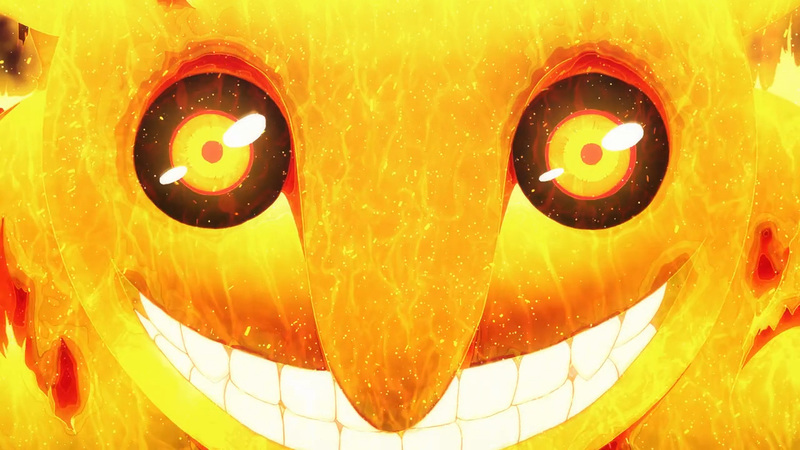 Speaking of Chudelkin, part of his demise was censored. 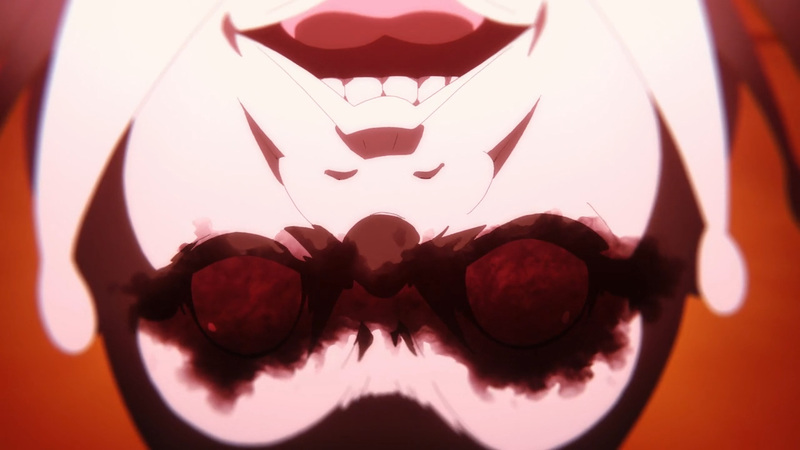 Below you’ll find two of the frames half blacked out. 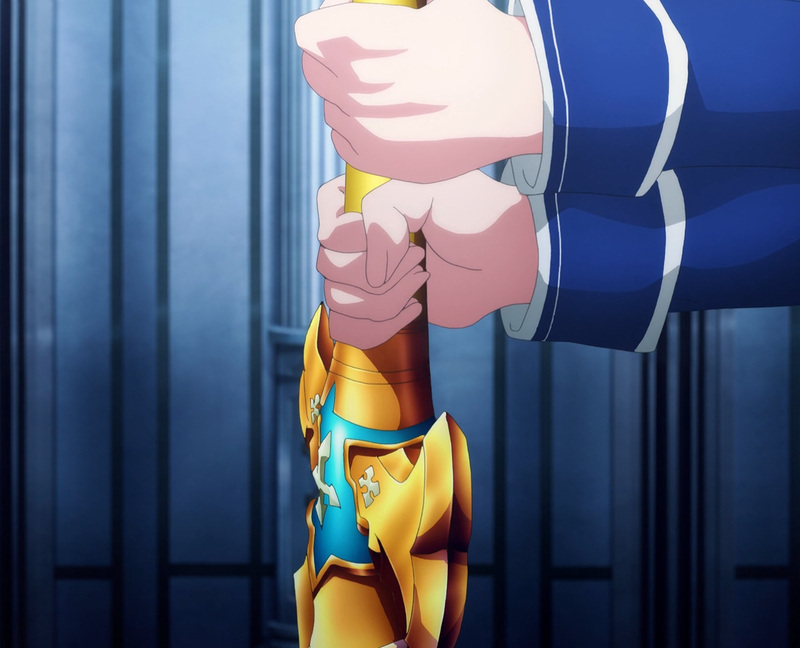 This isn’t the first piece of censorship found this season, but I can understand why this wouldn’t make the cut for the televised airing. 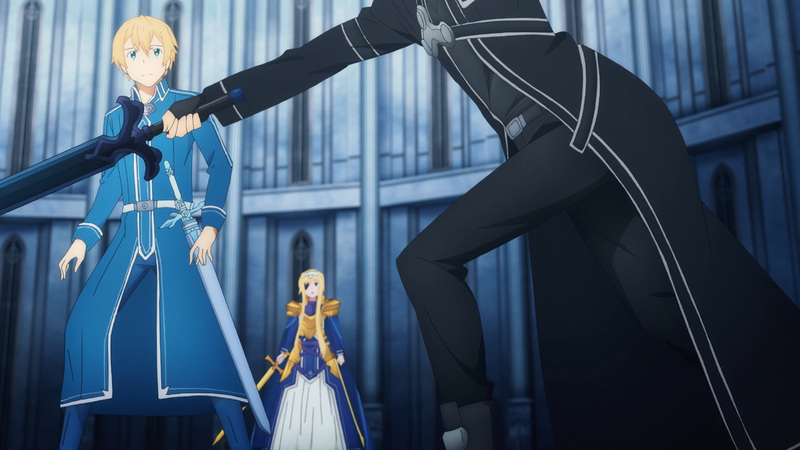 Kirito did put quite the large whole in him. 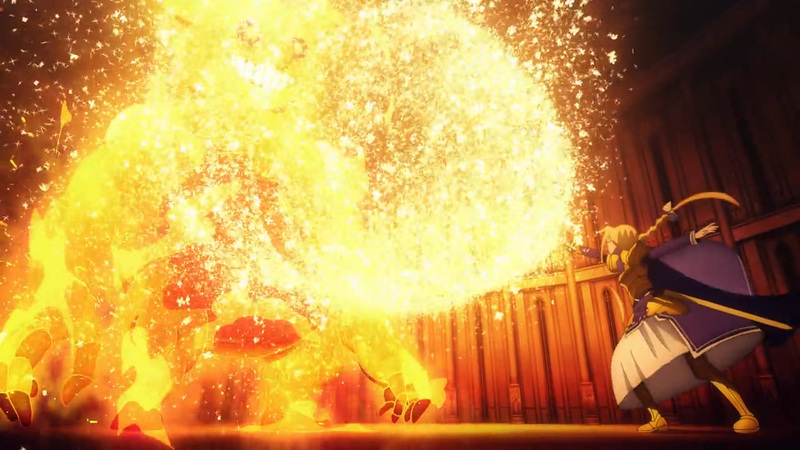 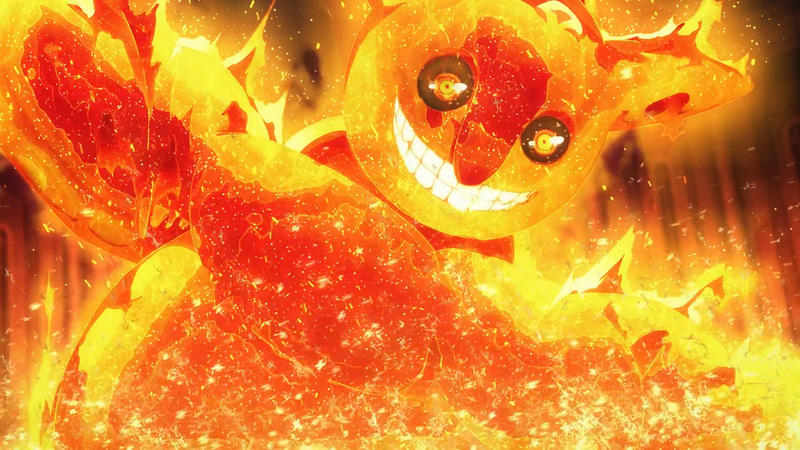 Moreover, even with 2 episodes to go there’s plenty of action left. 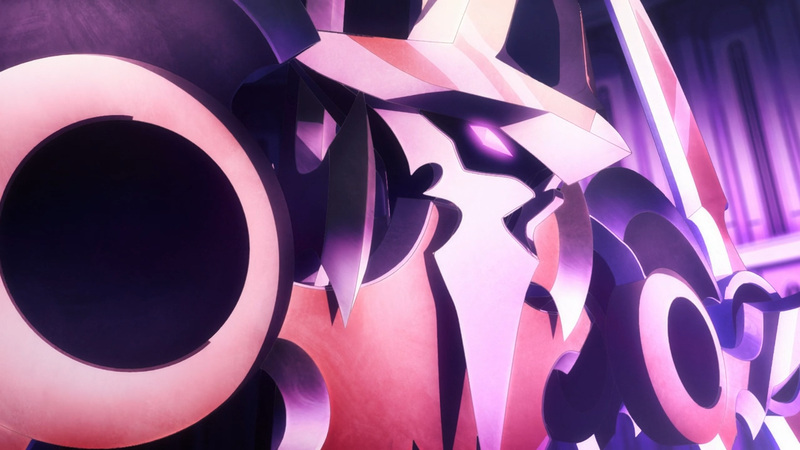 This battle won’t be over until Quinella is defeated. 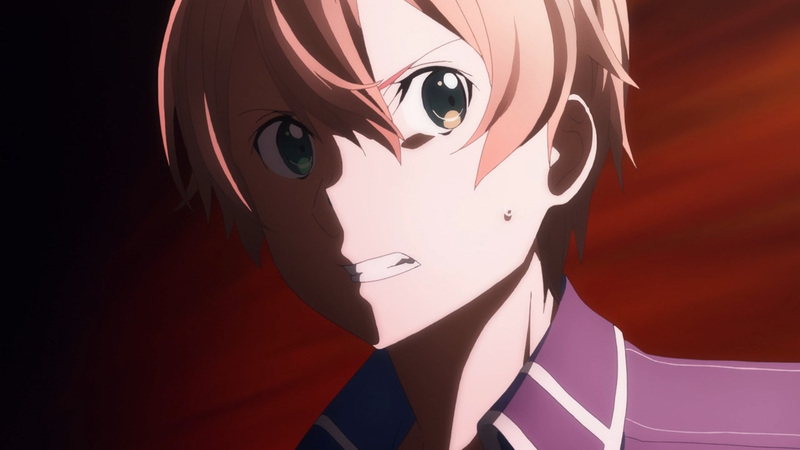 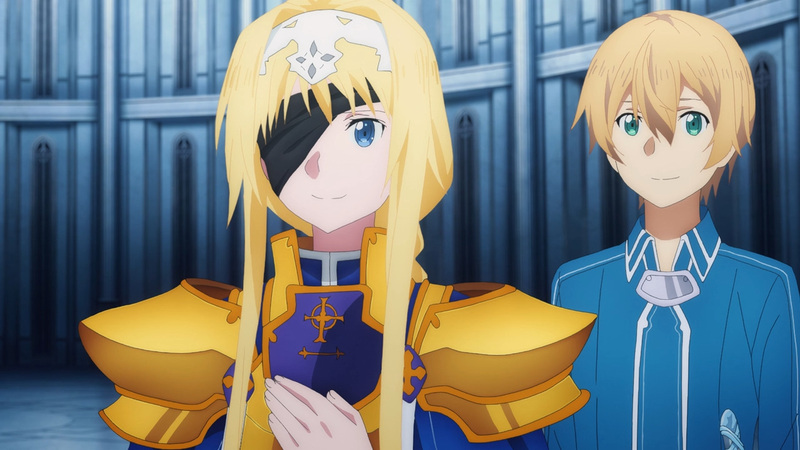 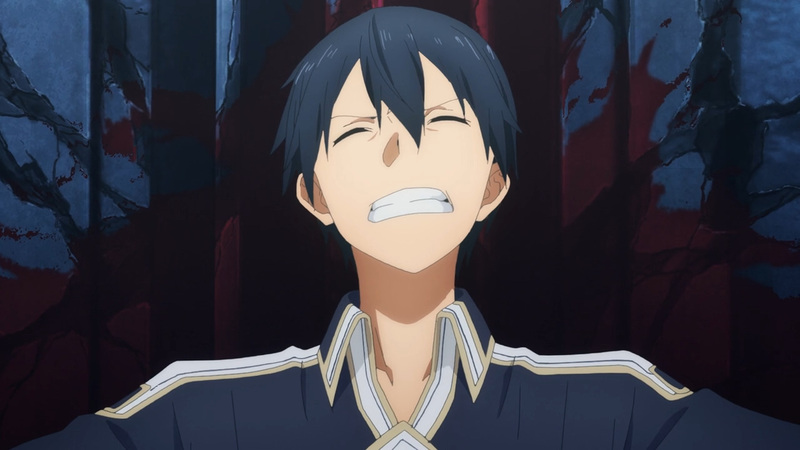 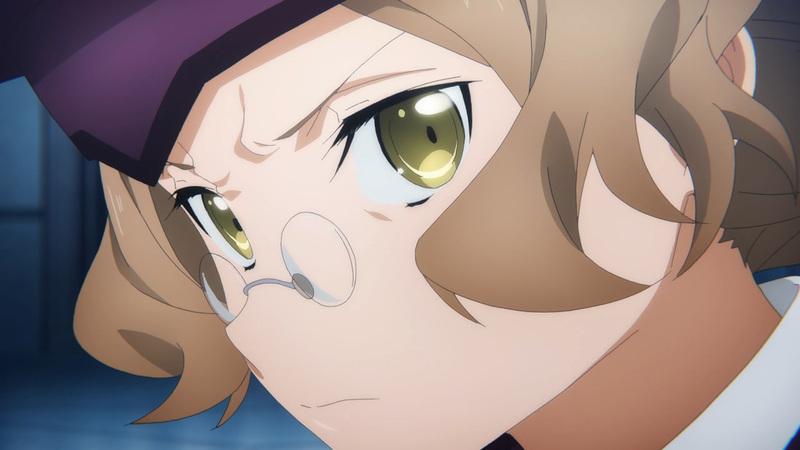 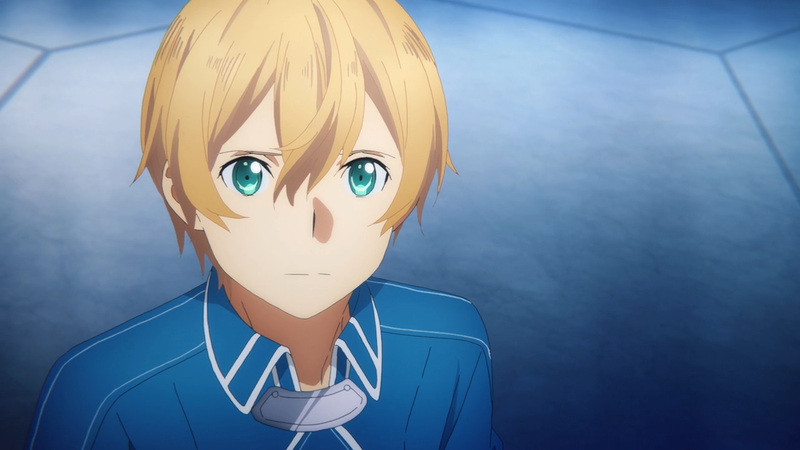 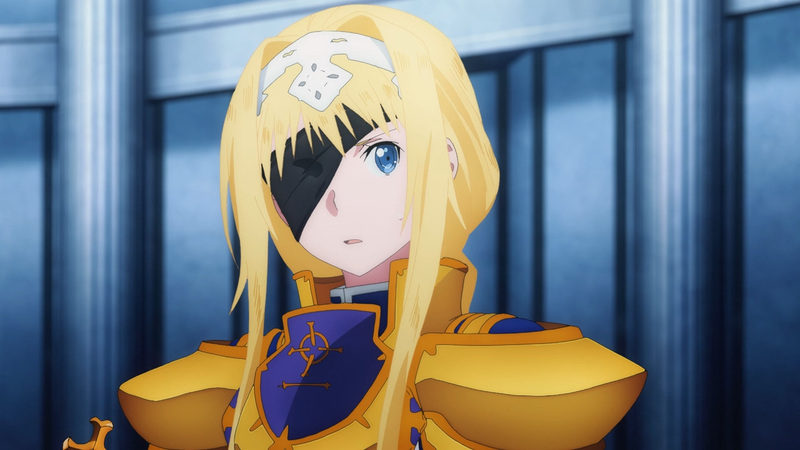 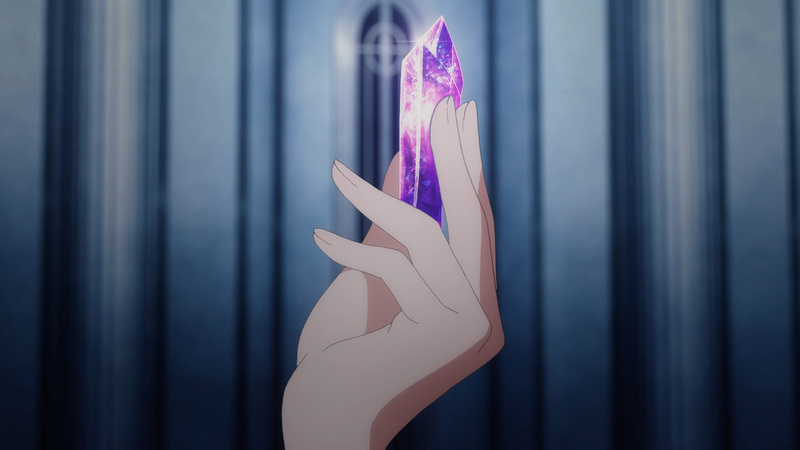 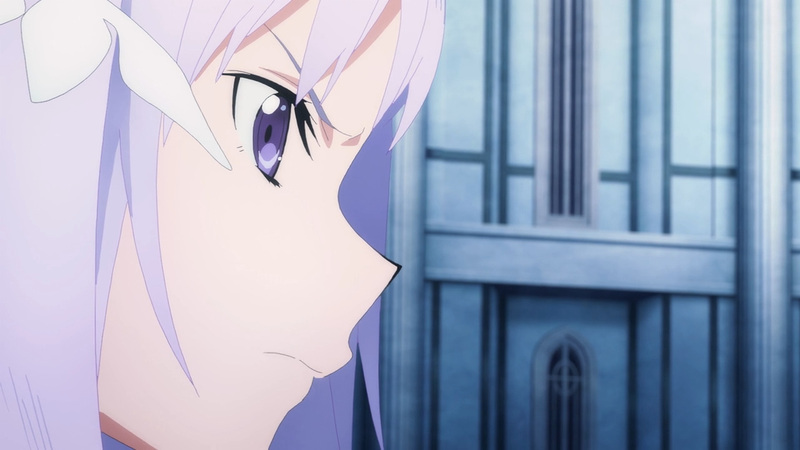 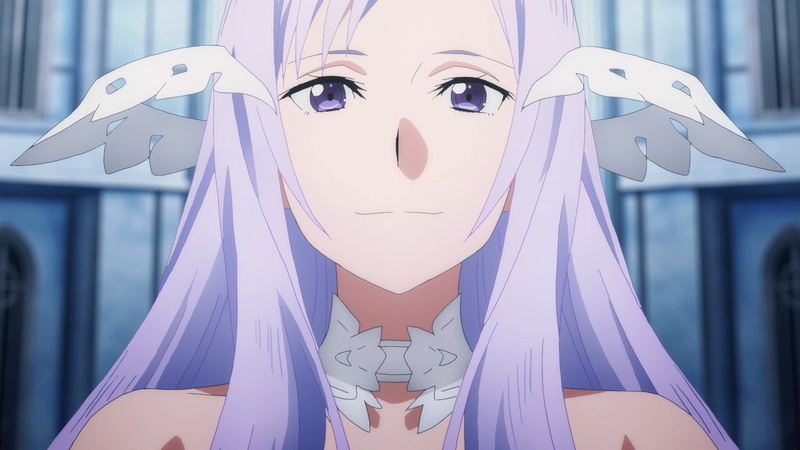 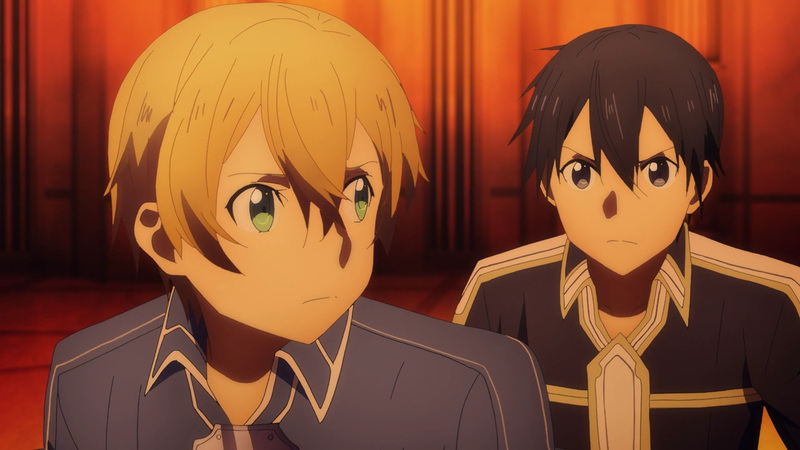 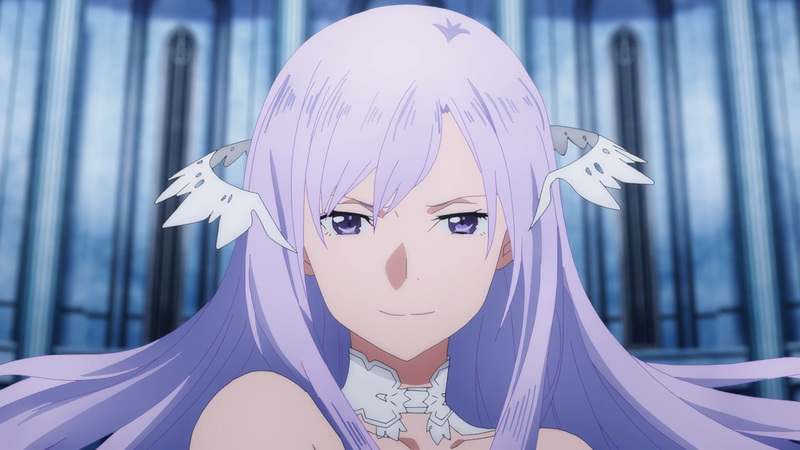 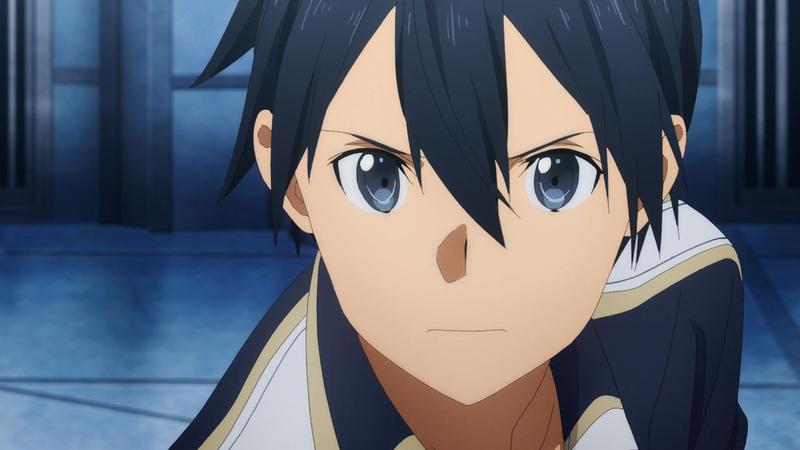 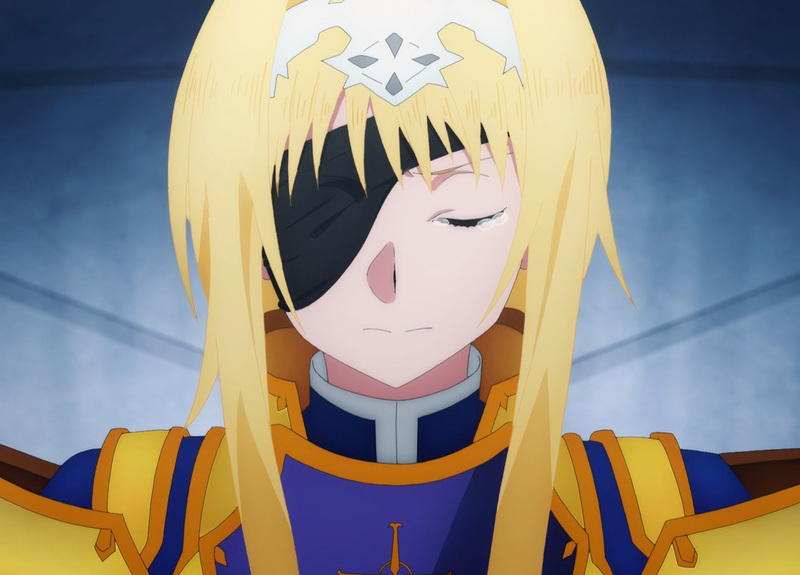 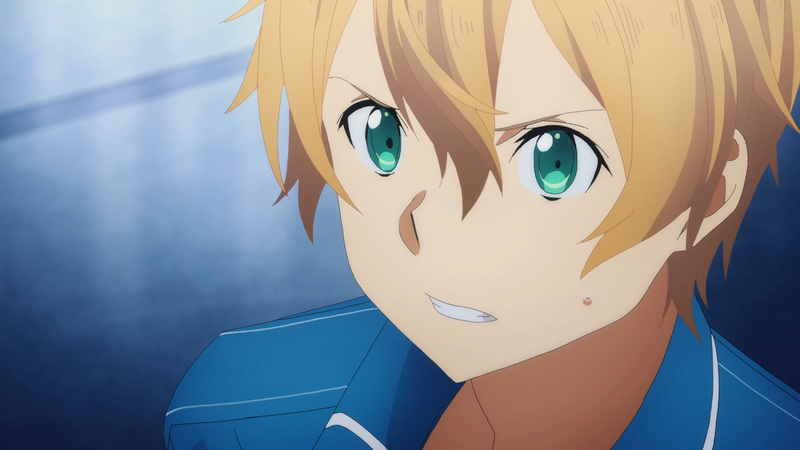 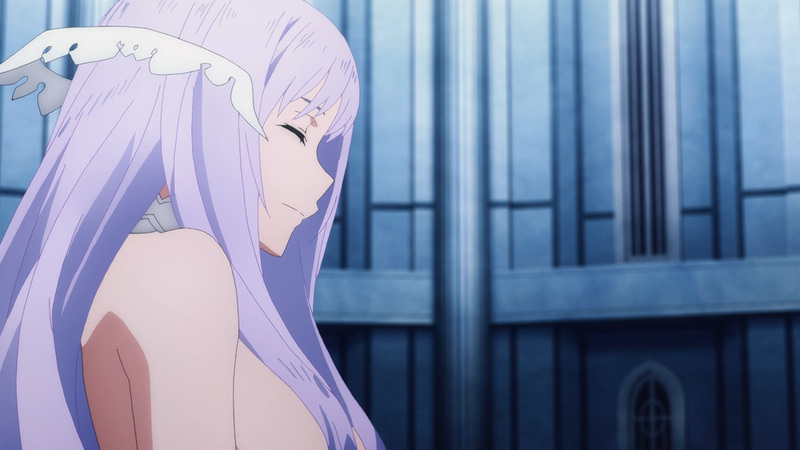 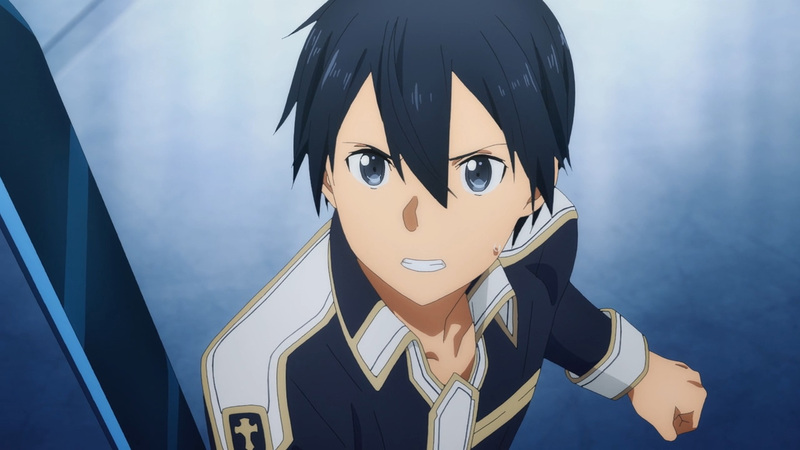 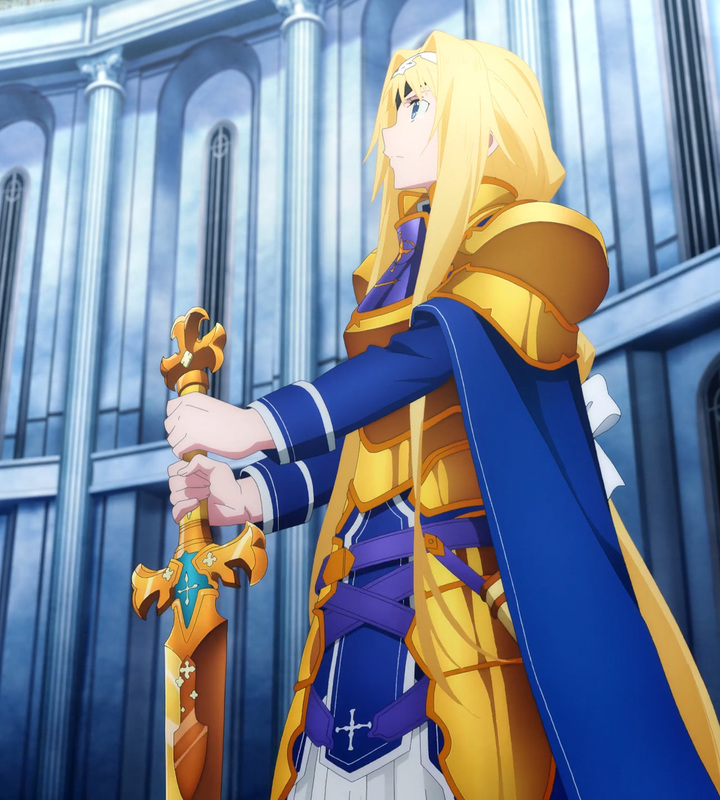 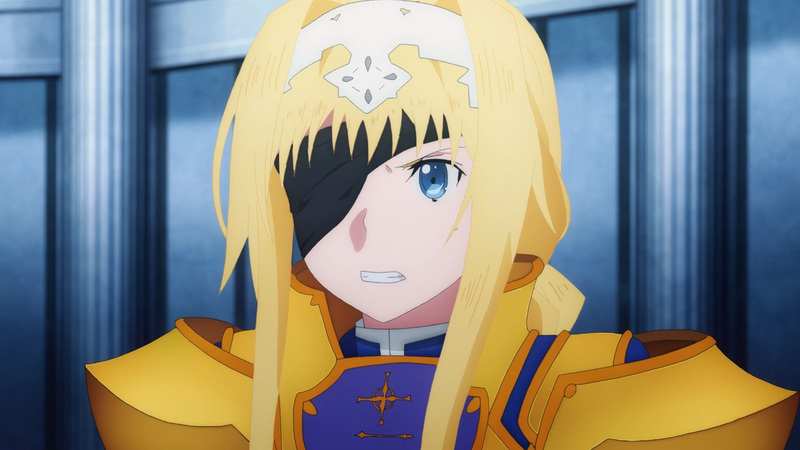 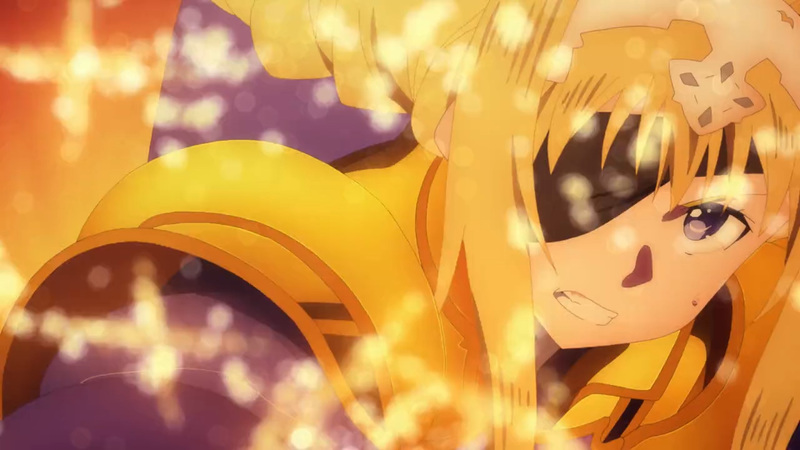 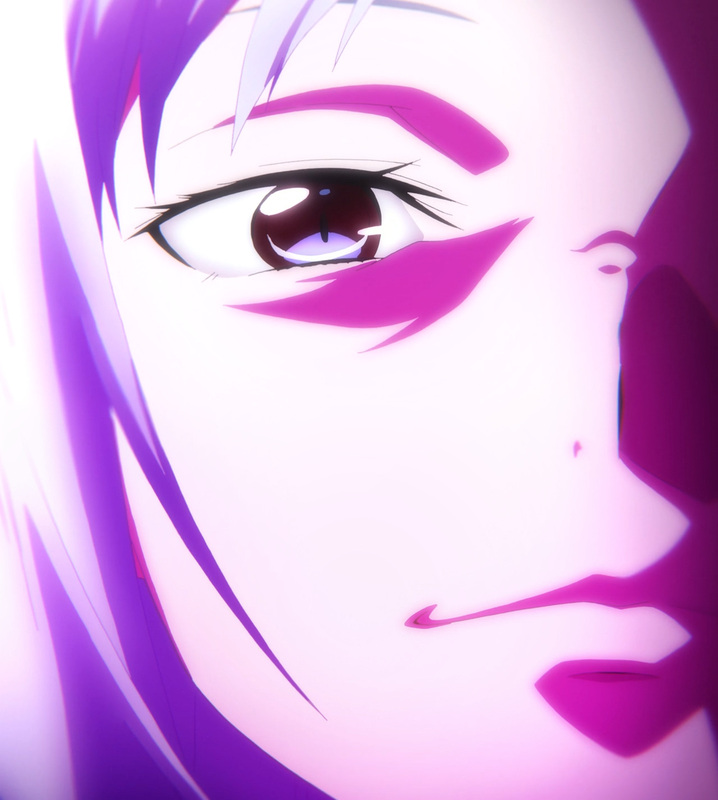 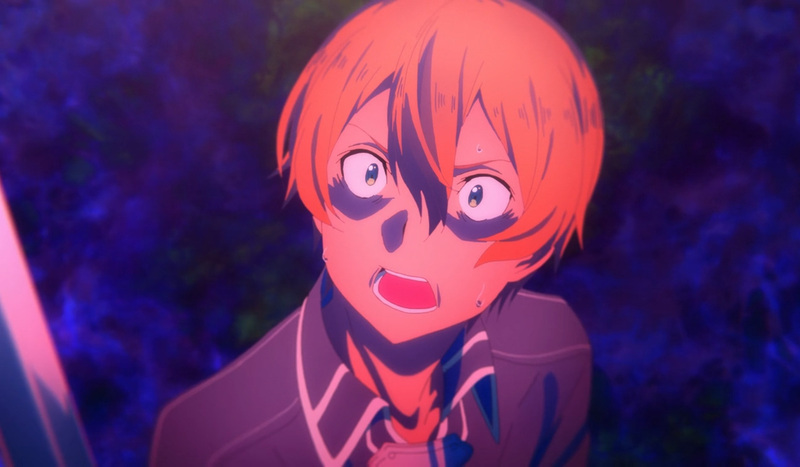 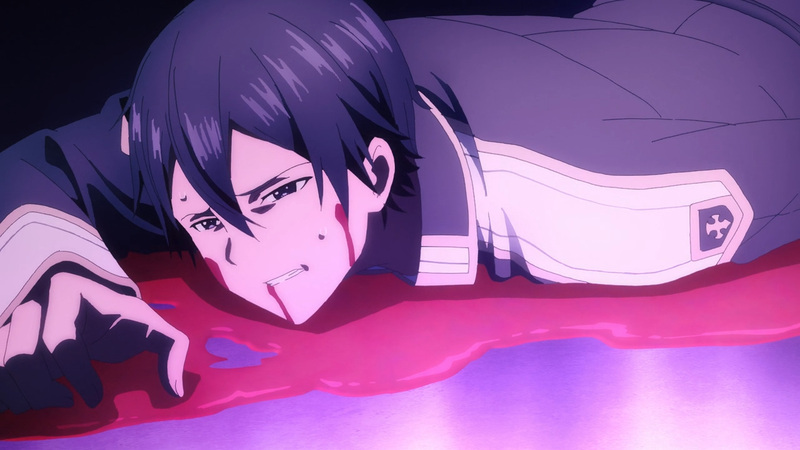 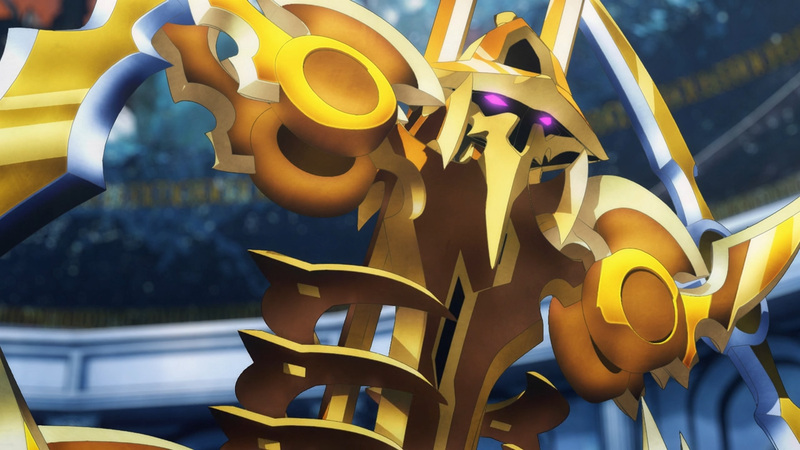 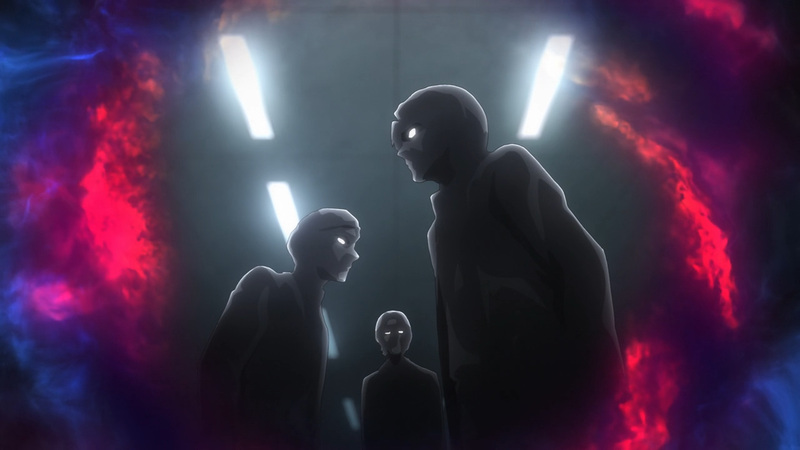 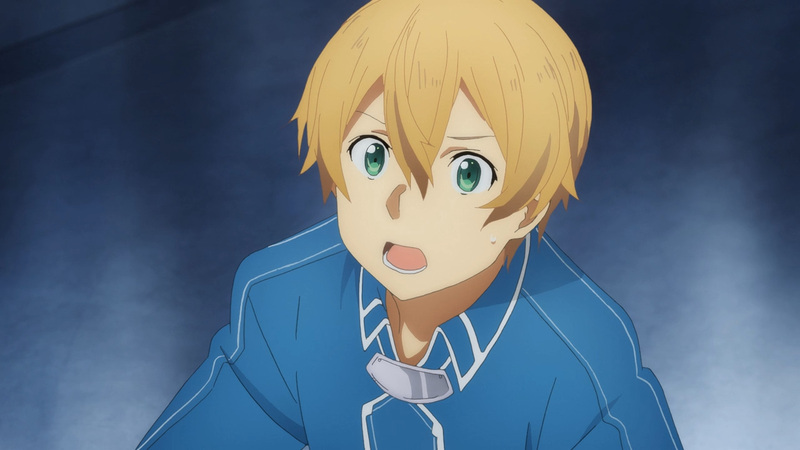 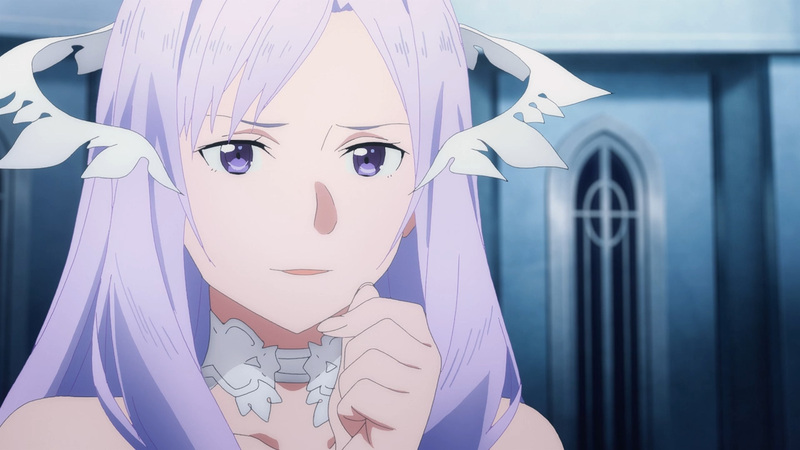 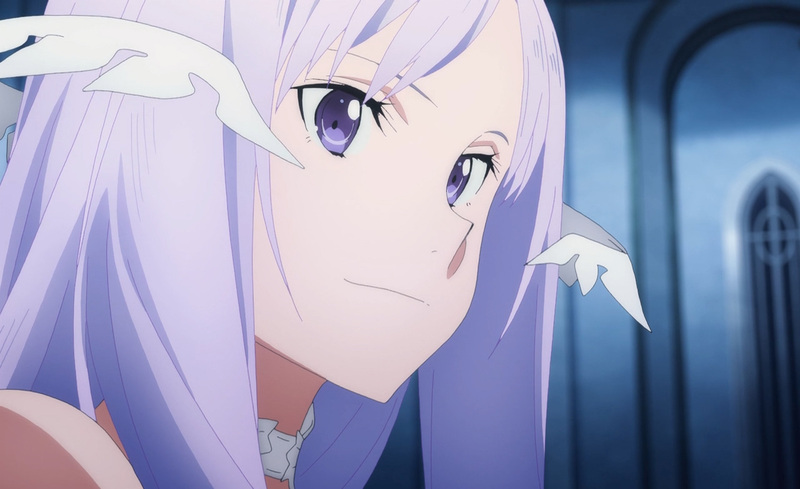 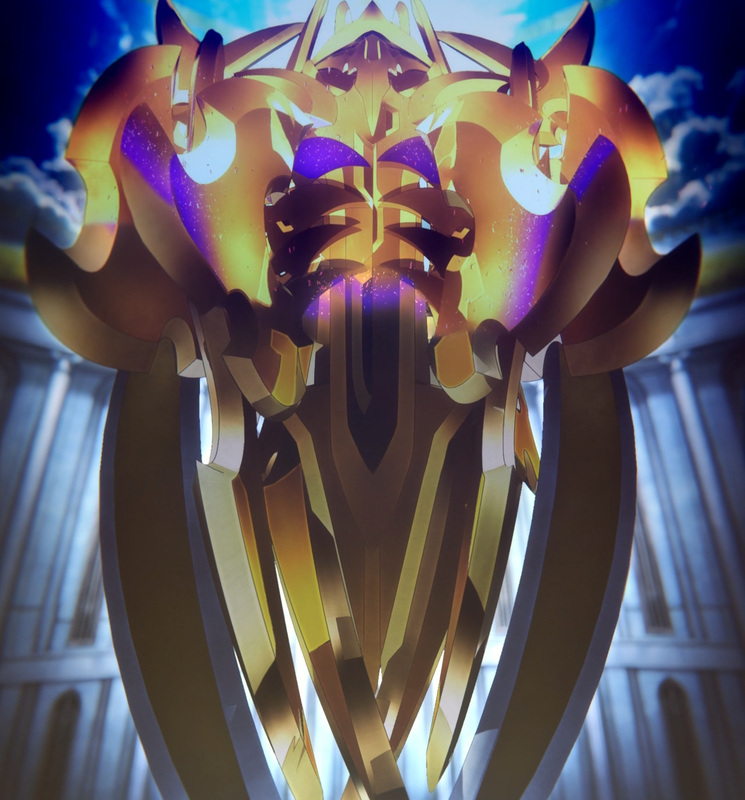 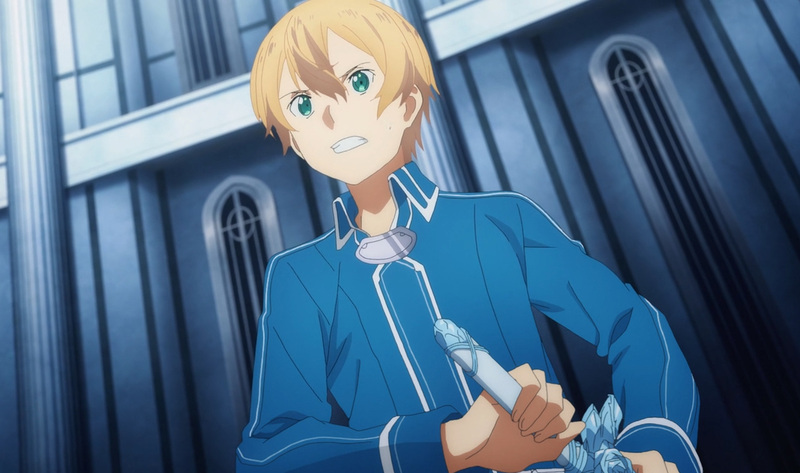 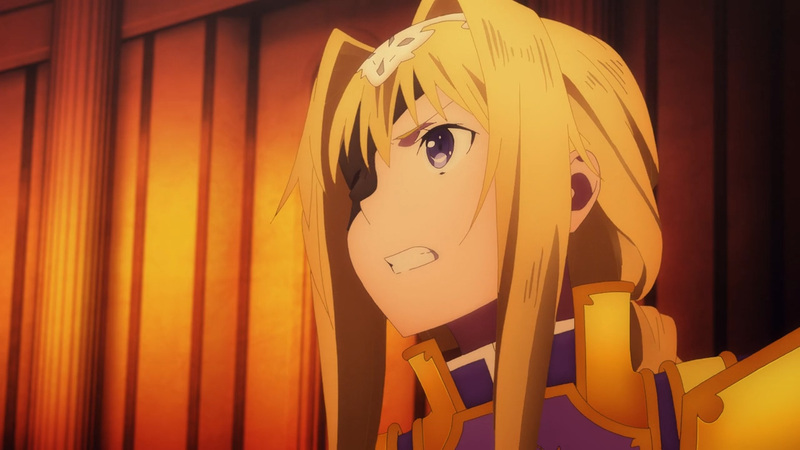 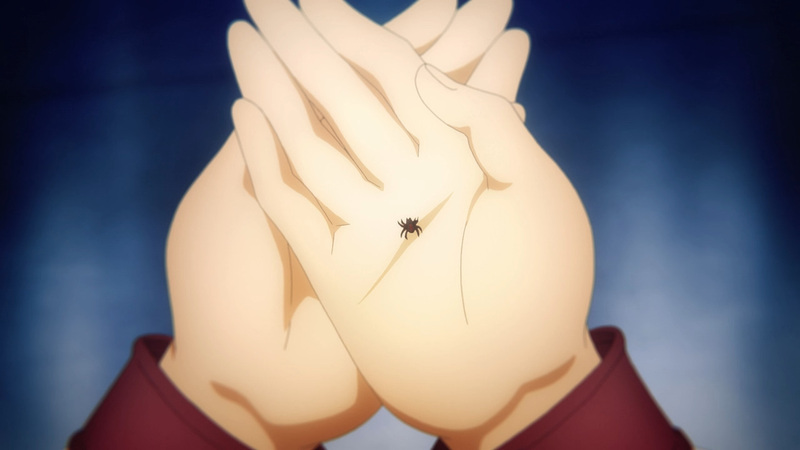 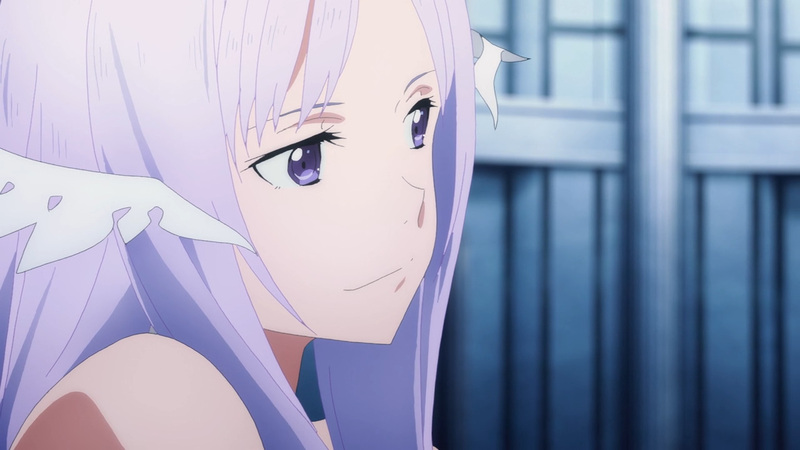 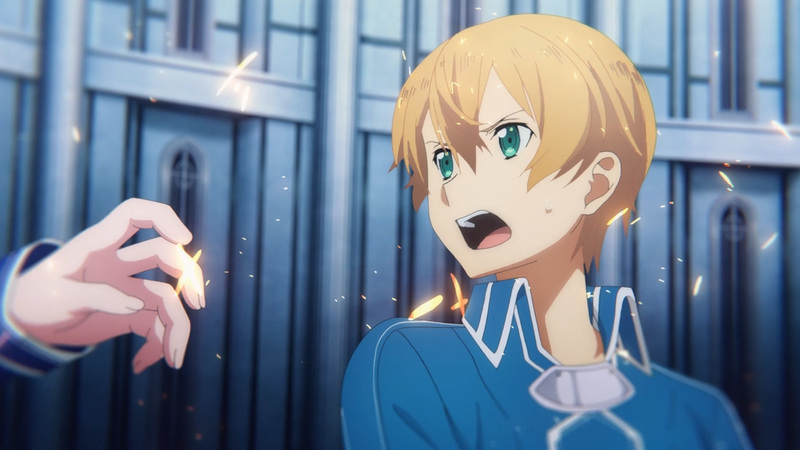 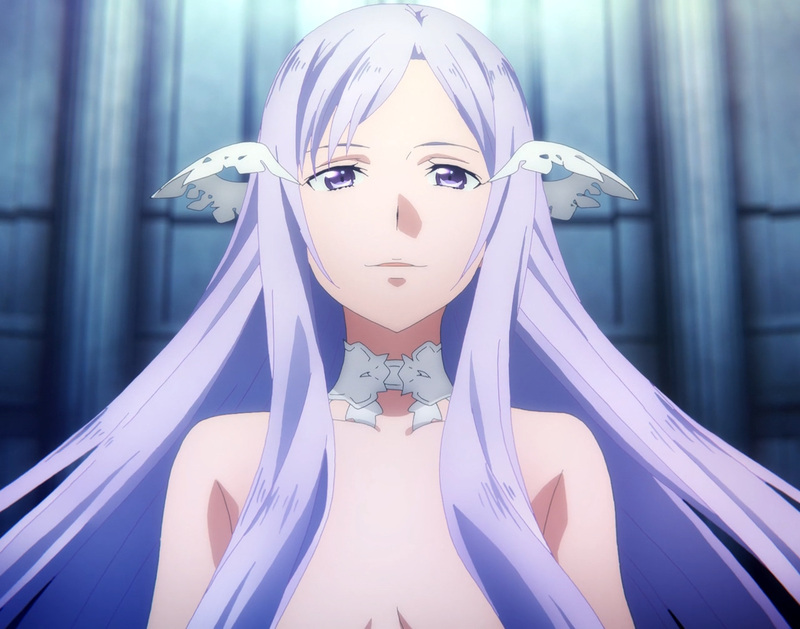 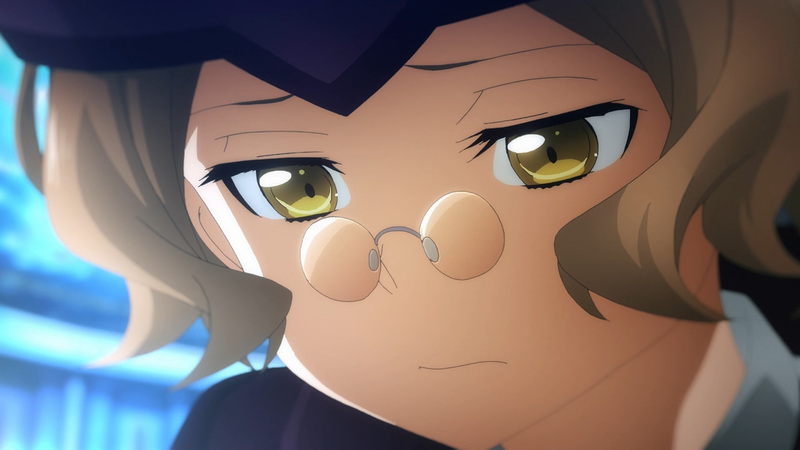 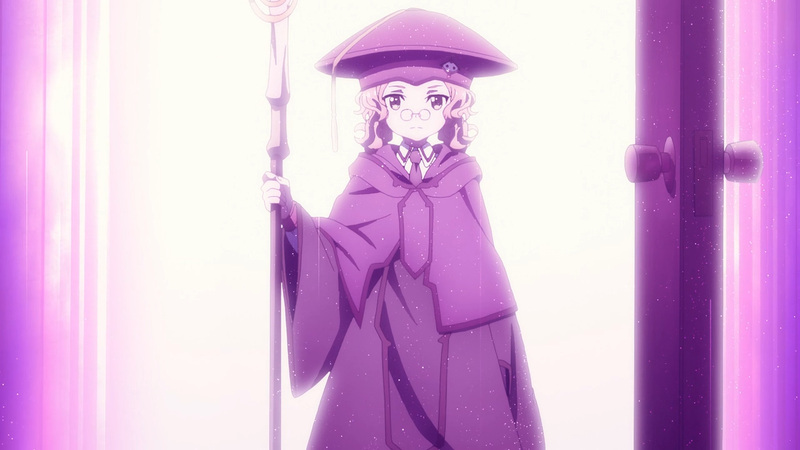 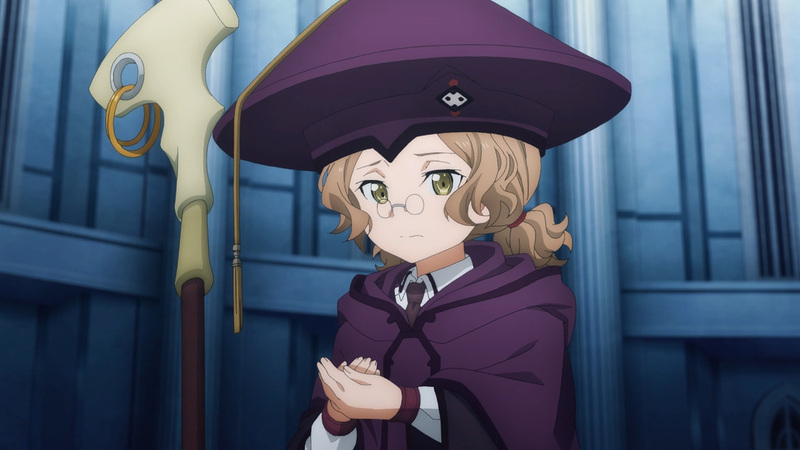 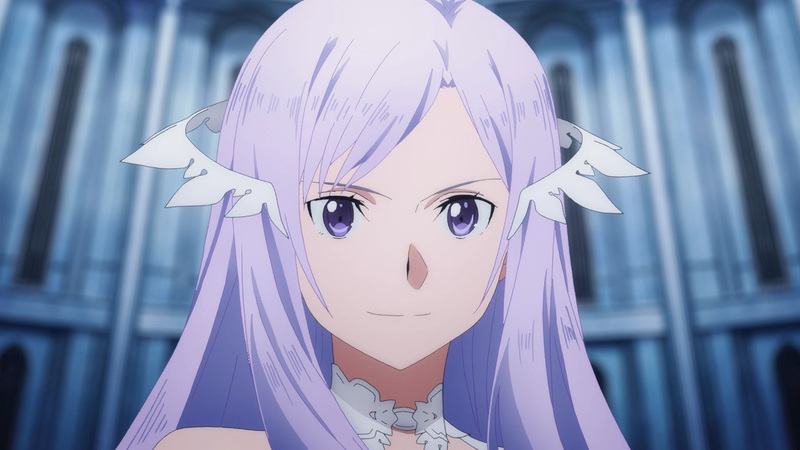 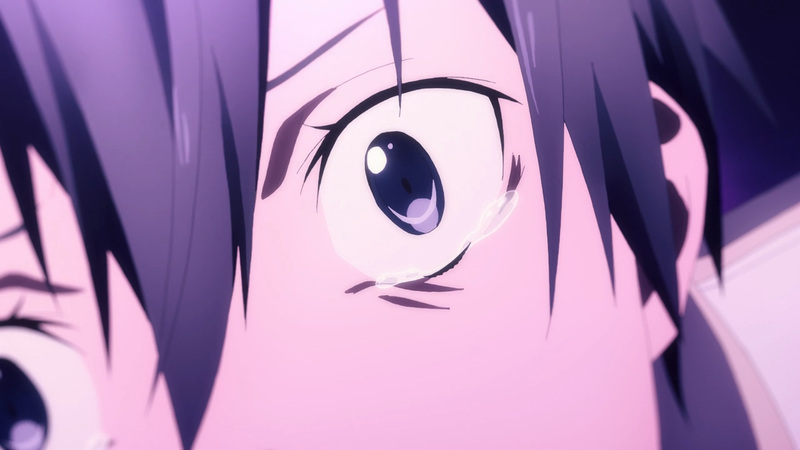 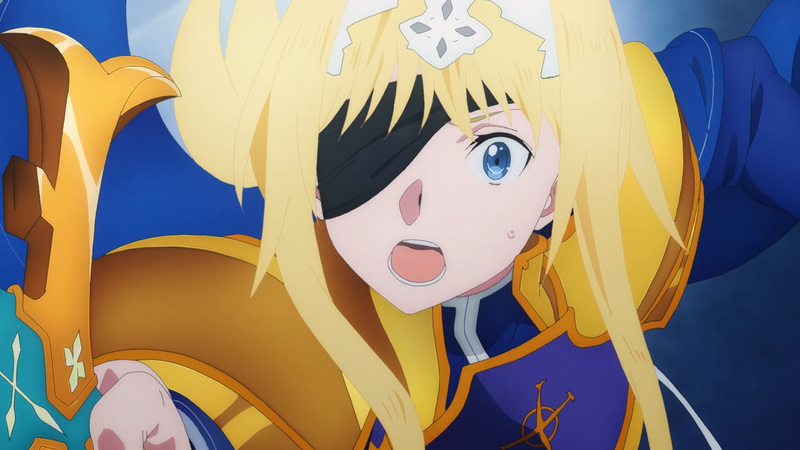 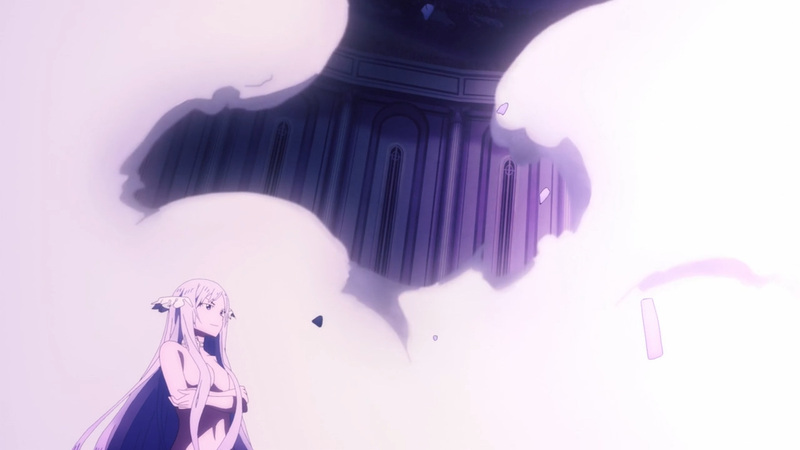 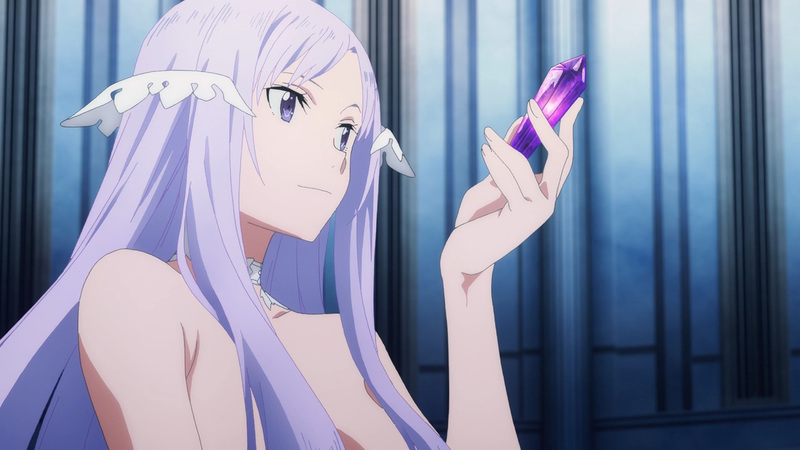 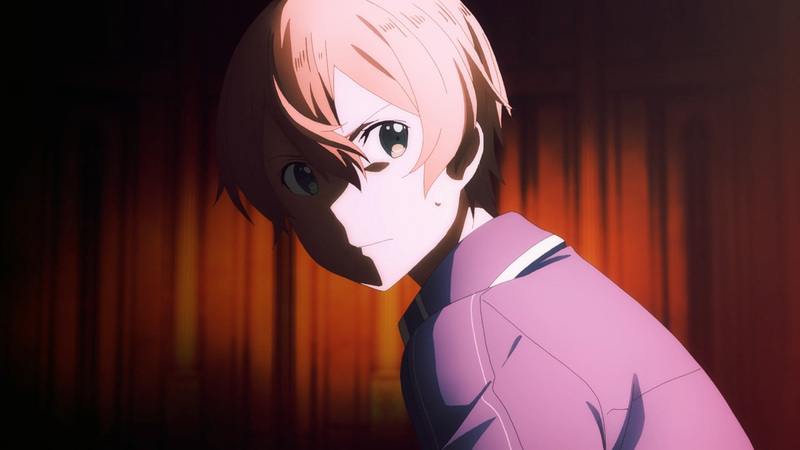 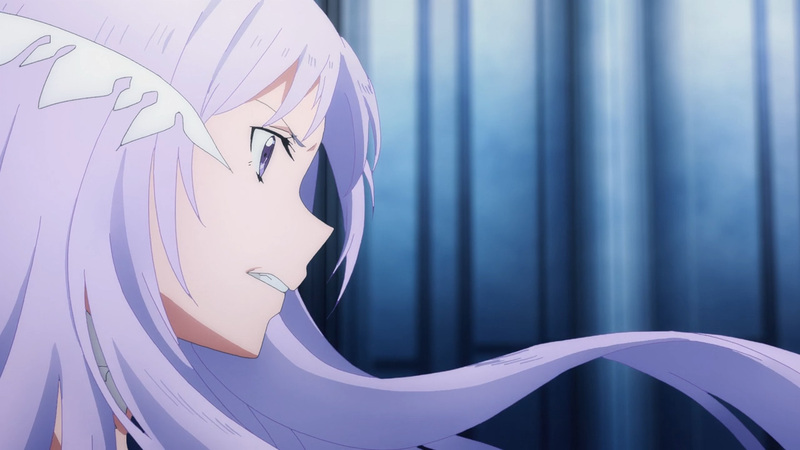 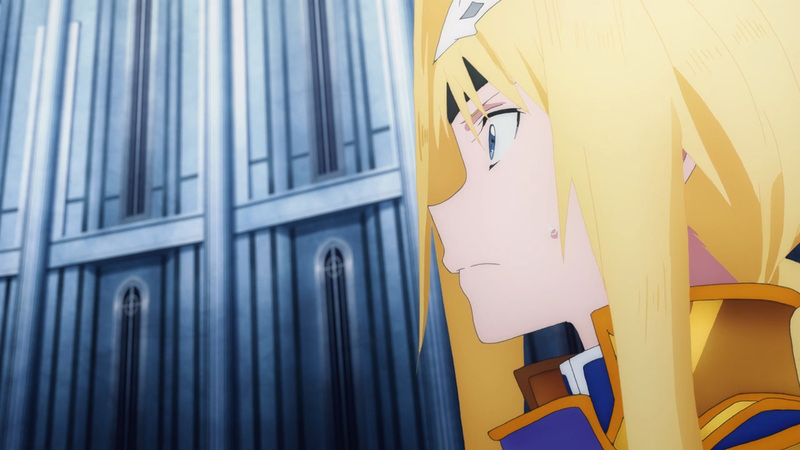 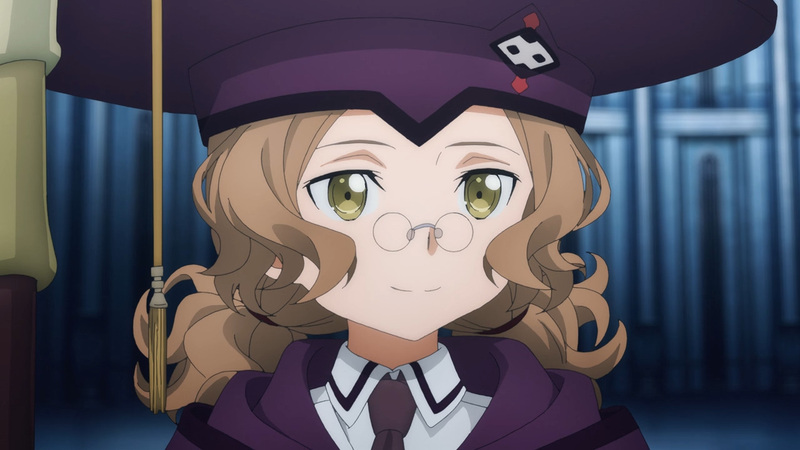 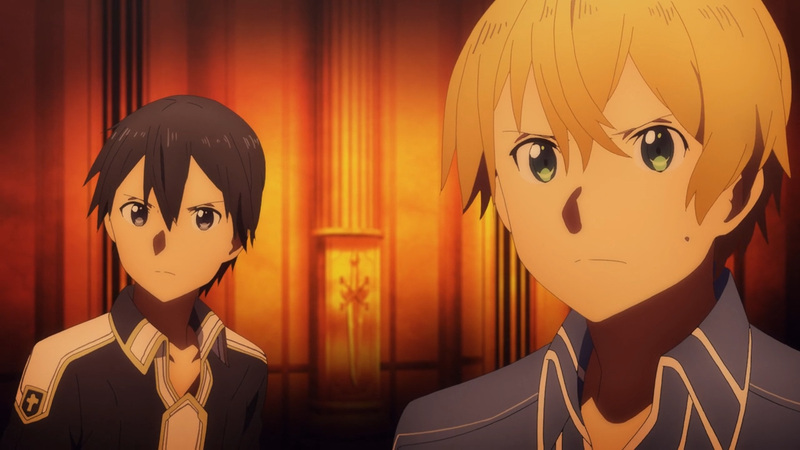 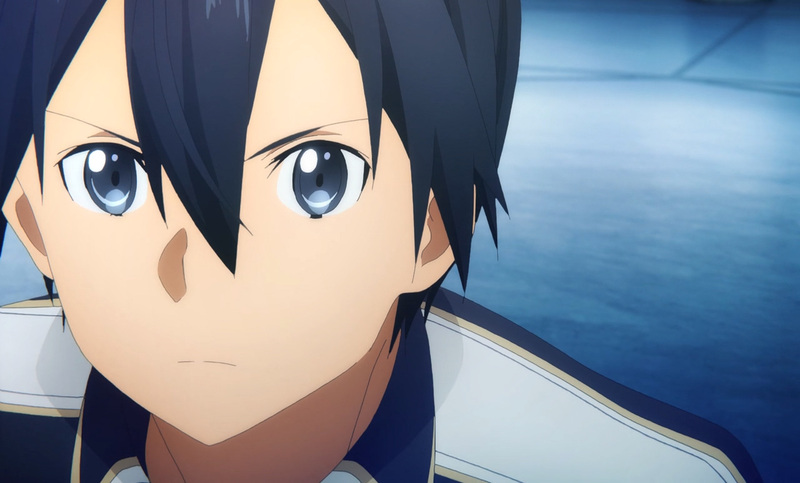 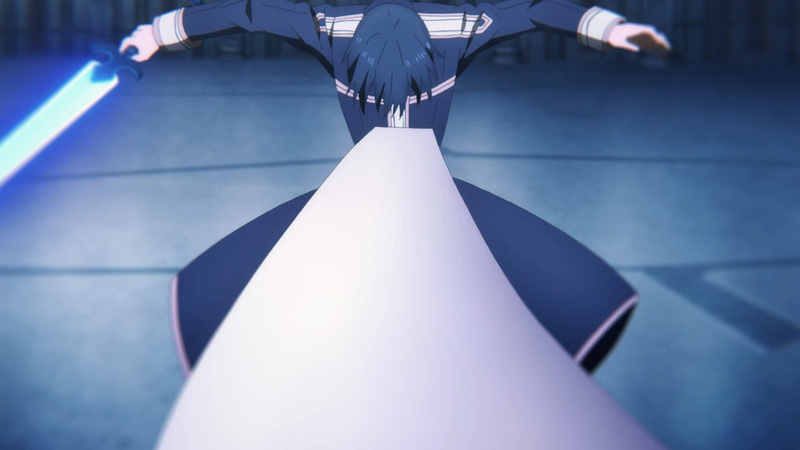 Additionally, even after the 24th episode, Protect Alicization will continue. 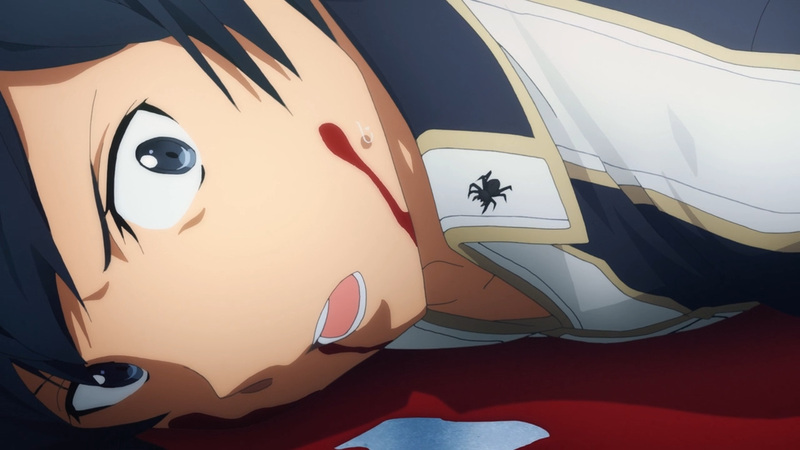 We’ll only be at the half way point once the 2nd cour is over. 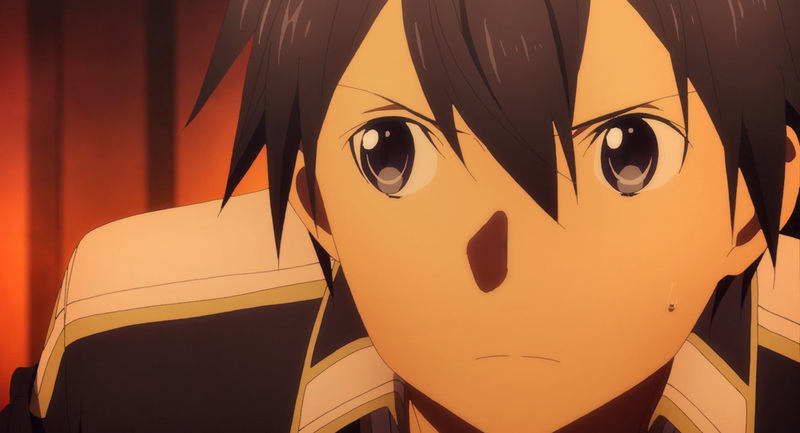 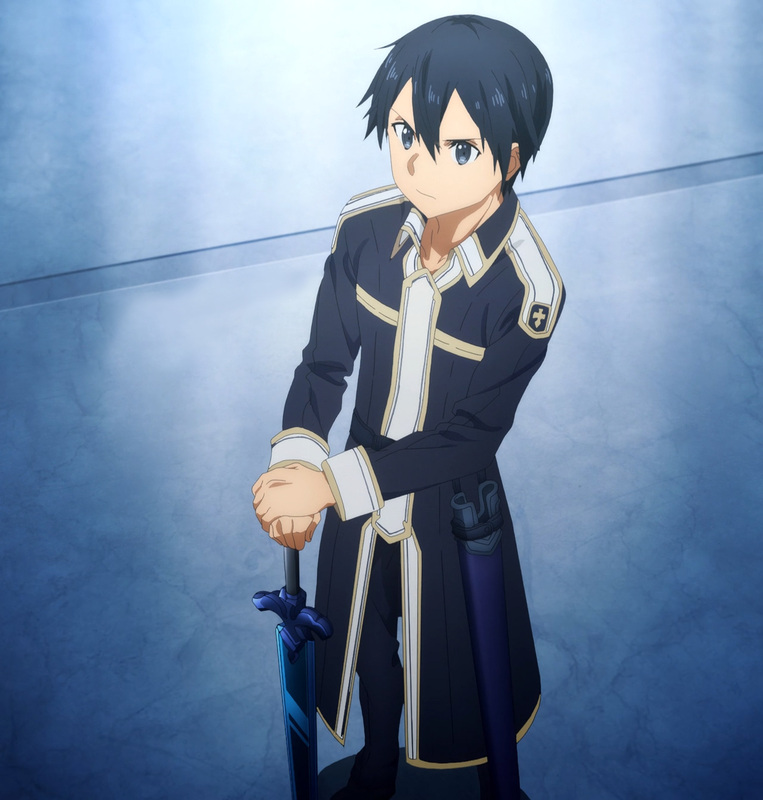 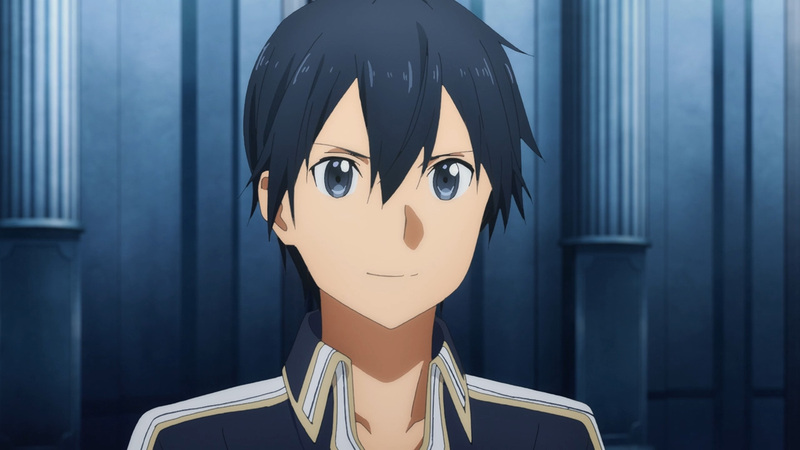 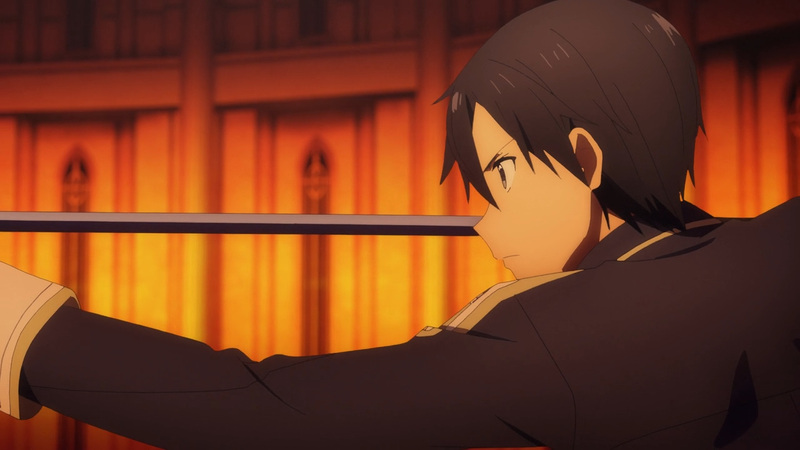 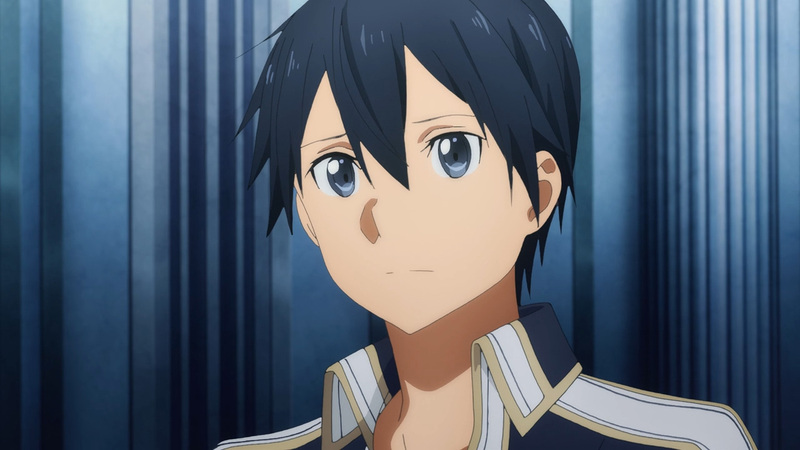 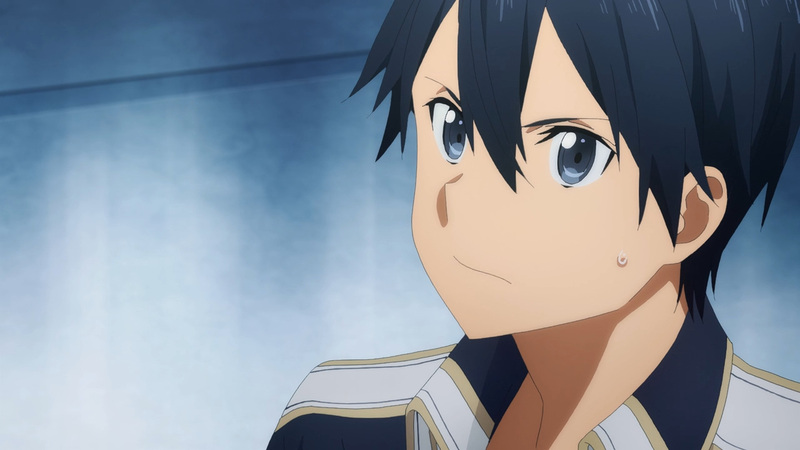 Kirito’s got a lot more time in Underworld to go. 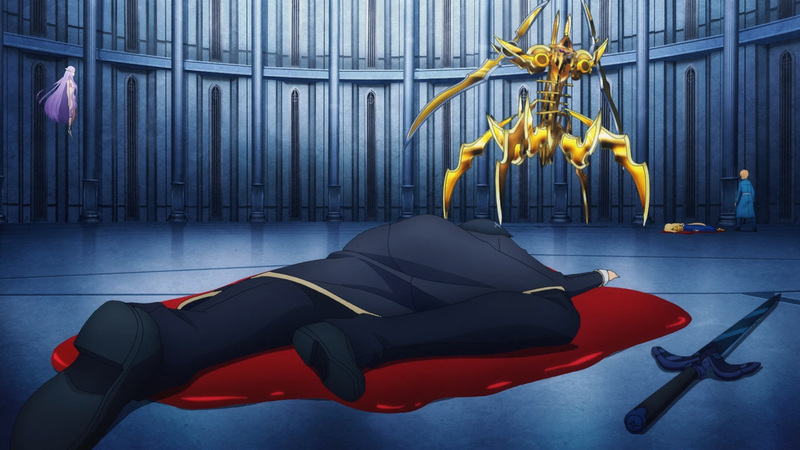 Anyhow, that Sword Golem isn’t down for the count yet. 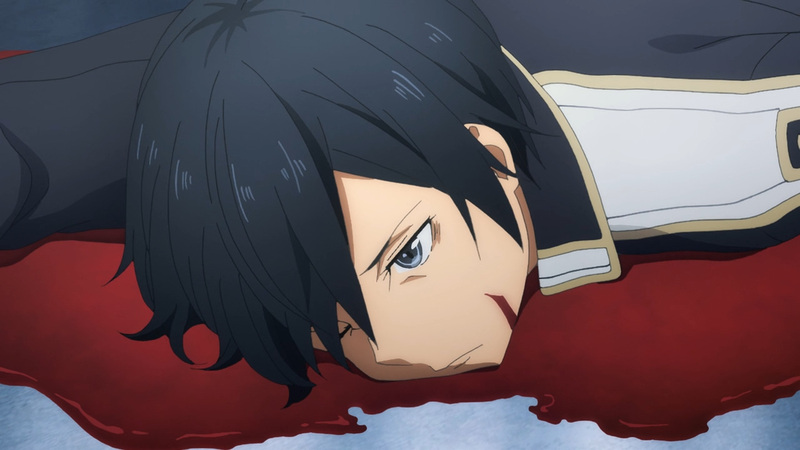 Enjoy just the beginning of the blood shed. 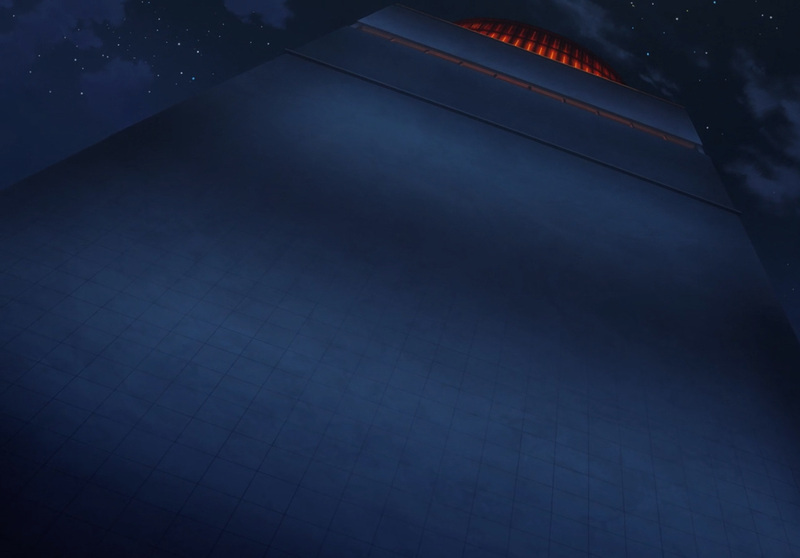 They’re all still standing, well except for a spider. 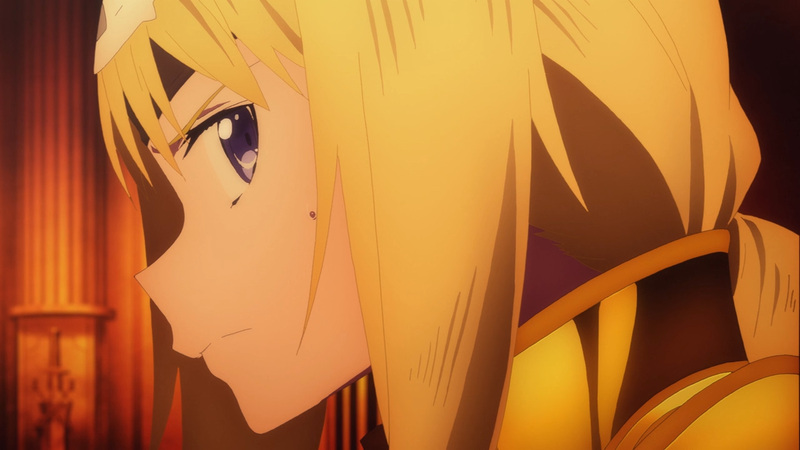 Nevertheless, be sure to join us for 2 more episodes until the break!